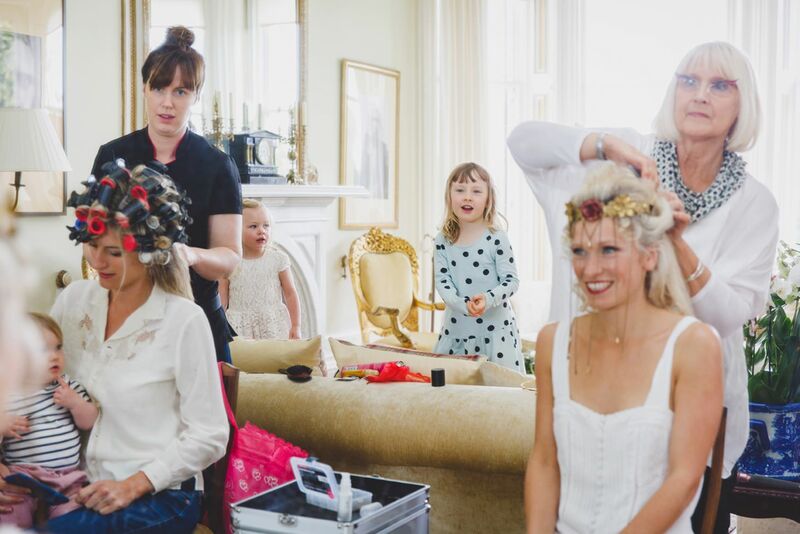 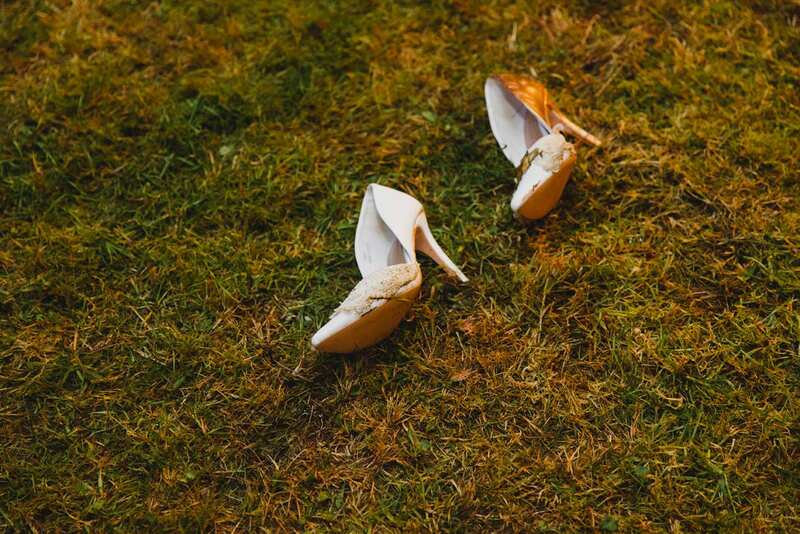 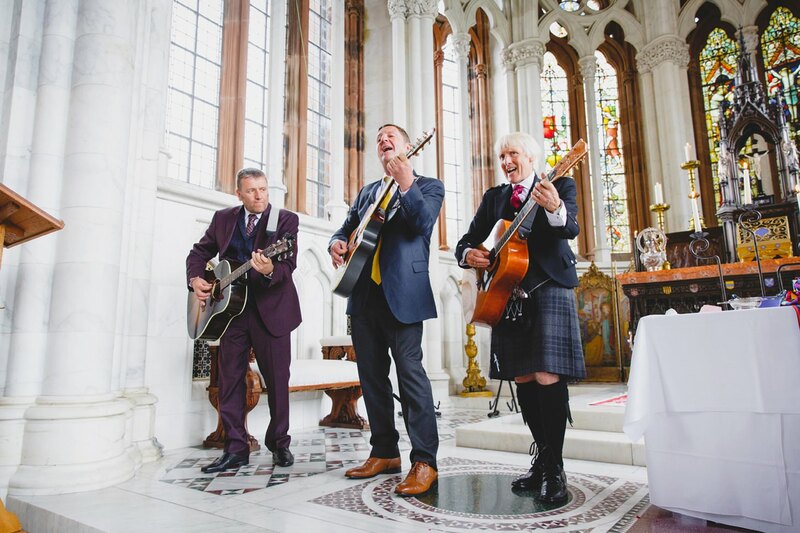 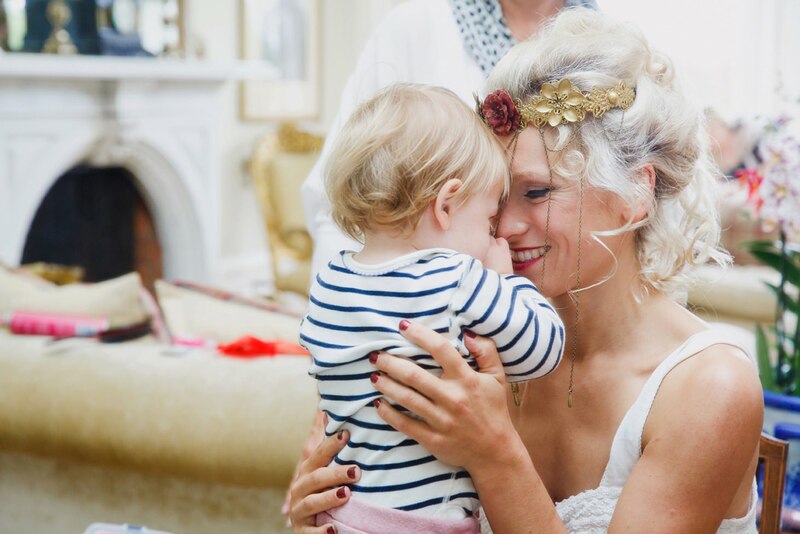 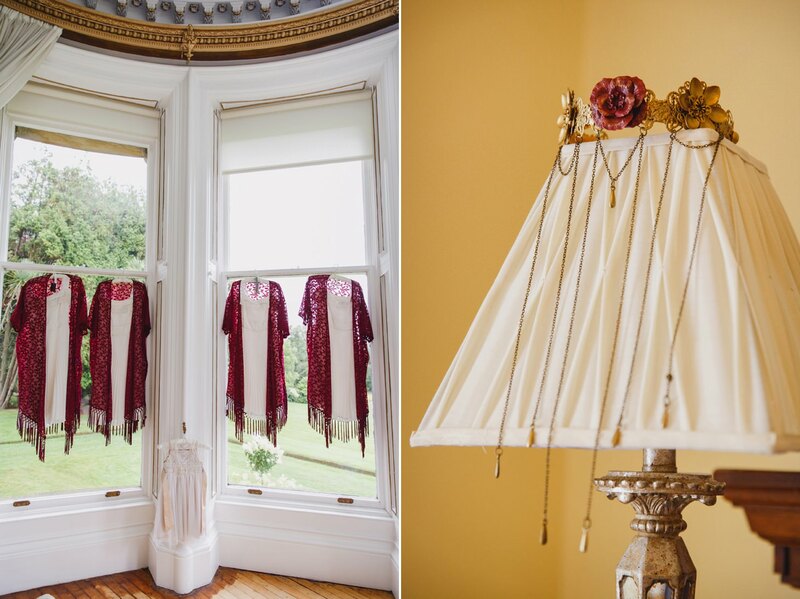 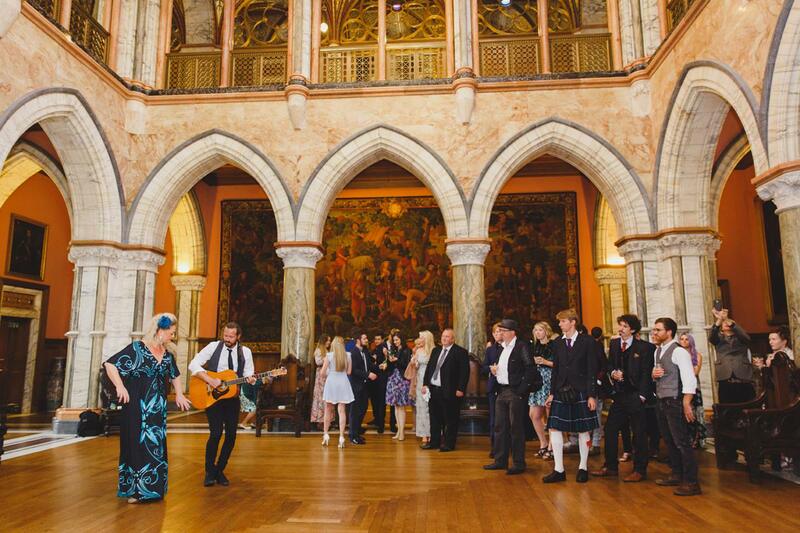 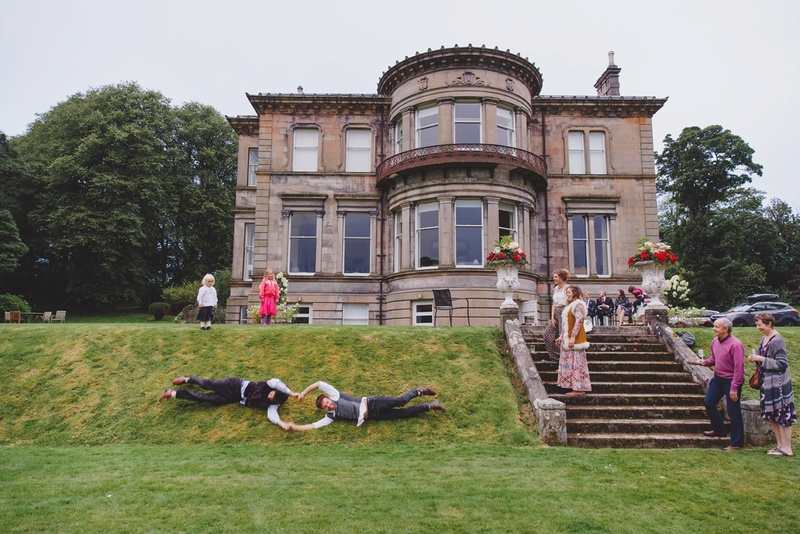 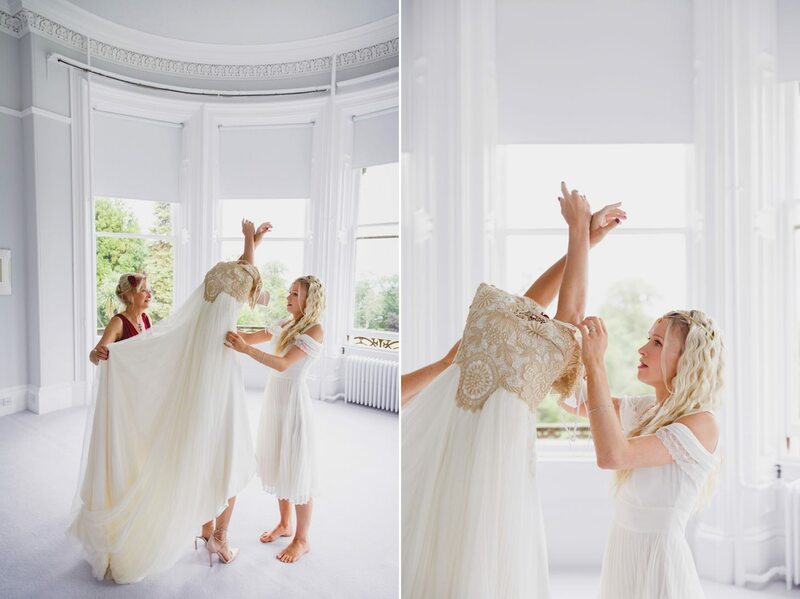 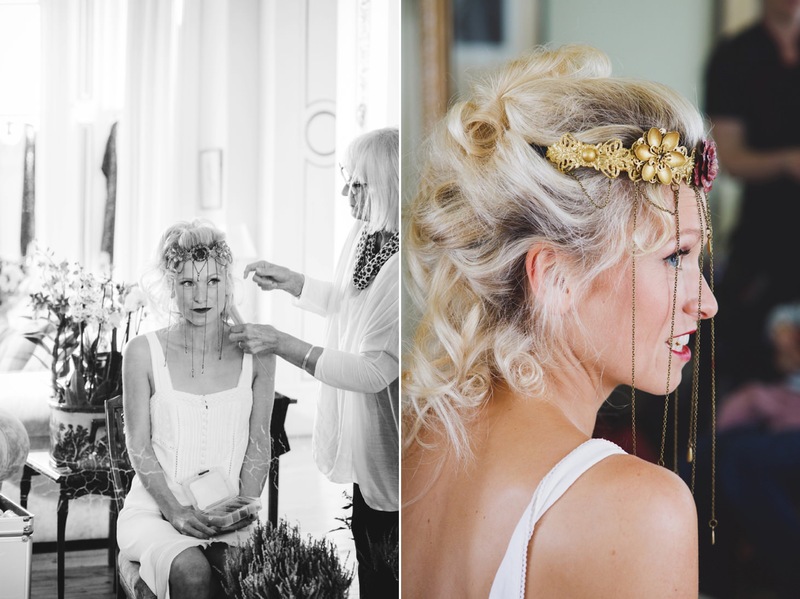 Mount Stuart wedding photography on the Isle of Bute in Scotland – Amy and Oliver’s art and musical humanist wedding. 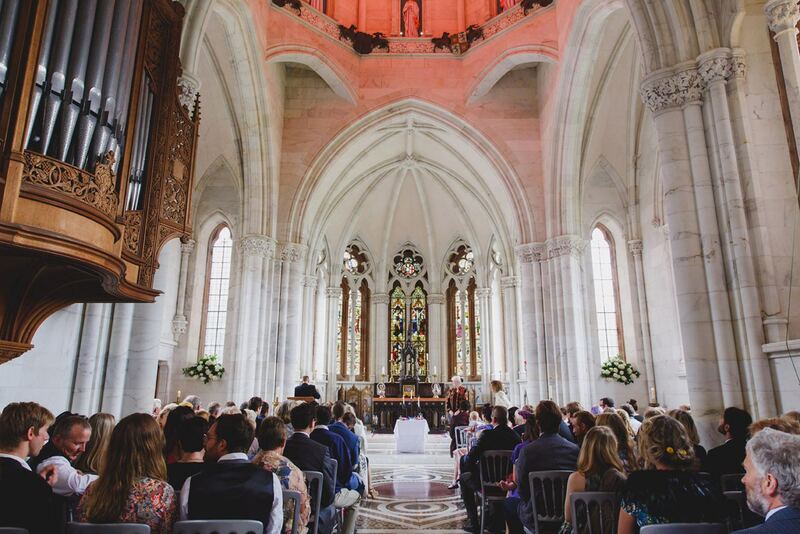 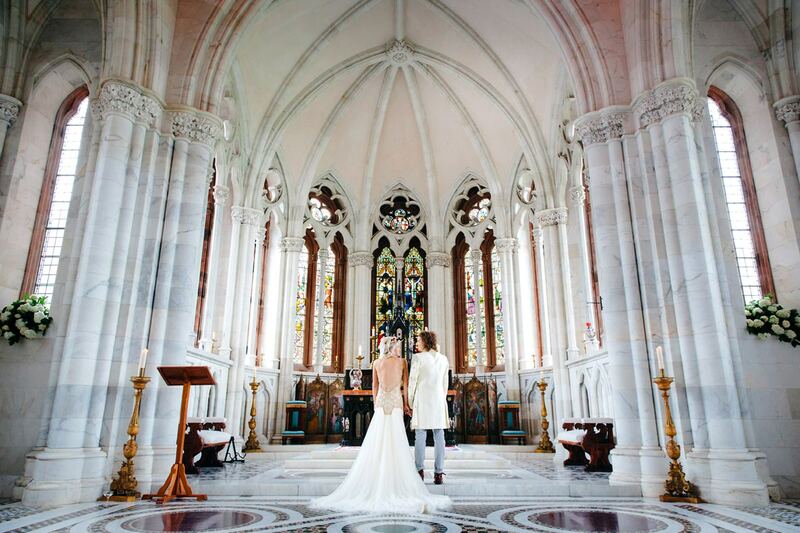 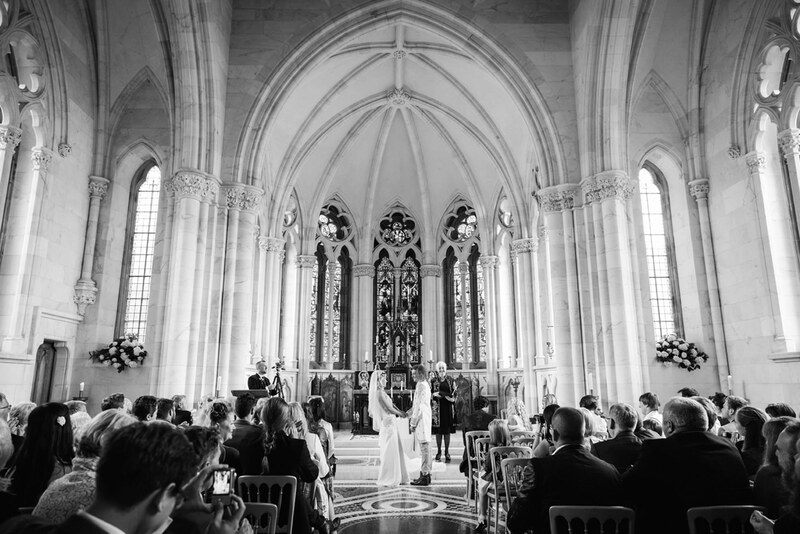 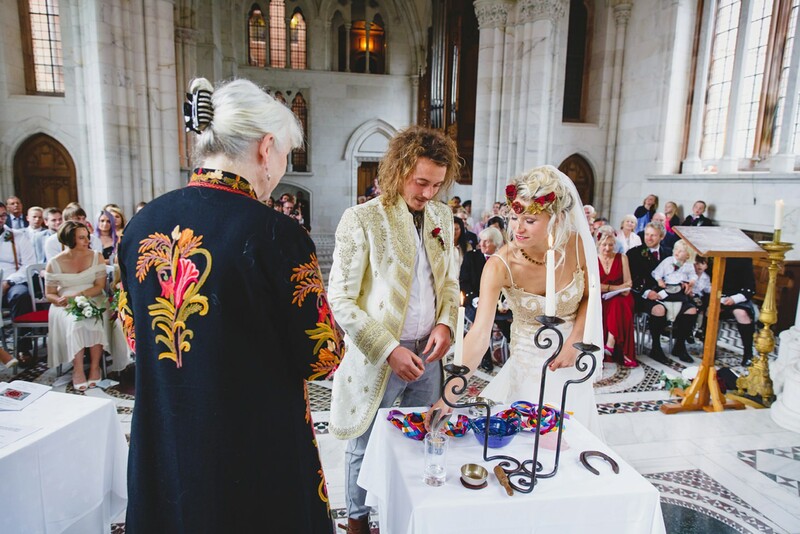 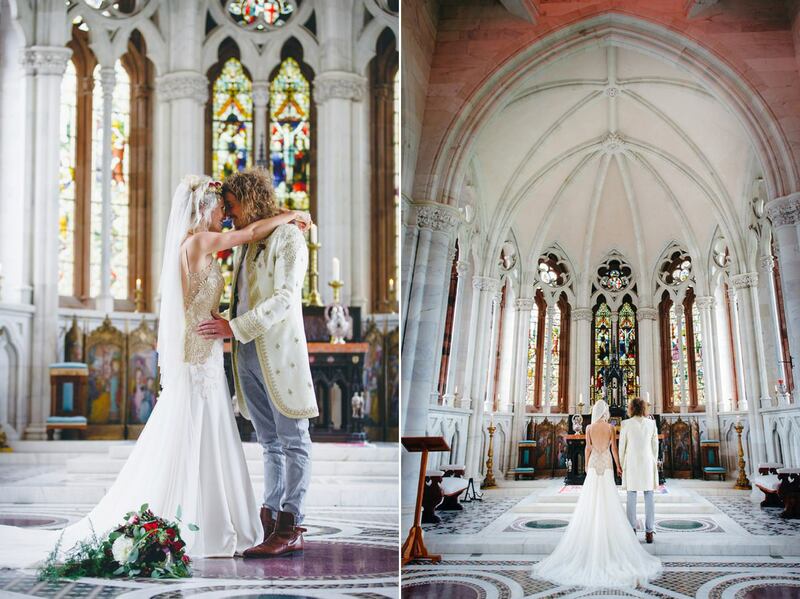 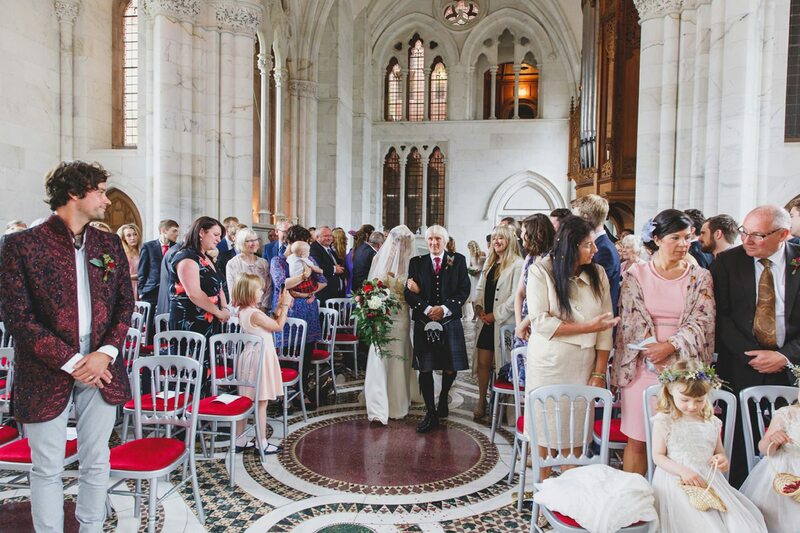 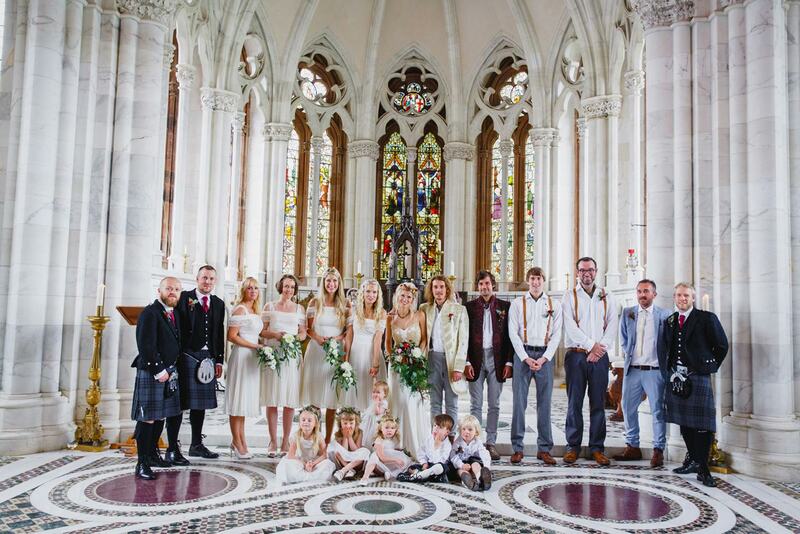 Amy and Oliver were married in one of the most incredible chapels I have ever seen, the marble chapel at Mount Stuart on the Isle of Bute in Scotland. 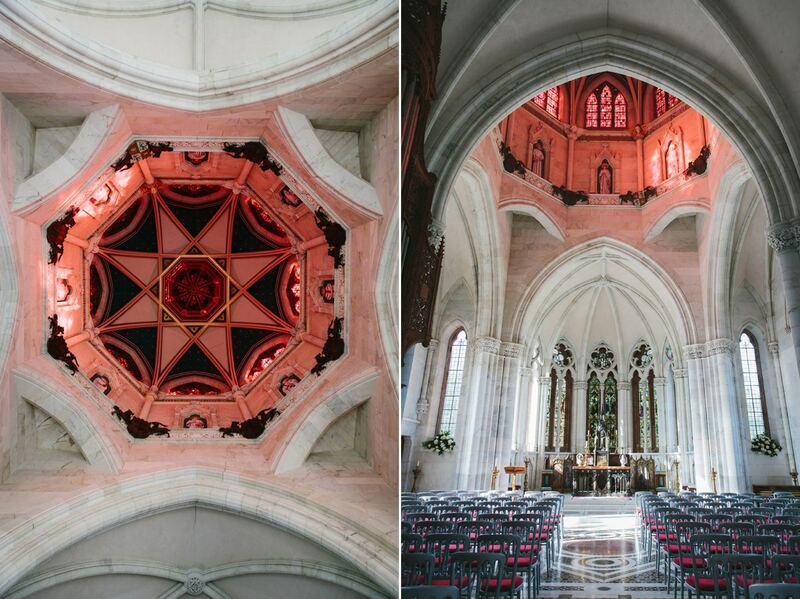 The ceiling is red glass, so when sunlight shines through it turns the marble pink, and the floor design is based on reflecting the elements of earth, air, fire and water. 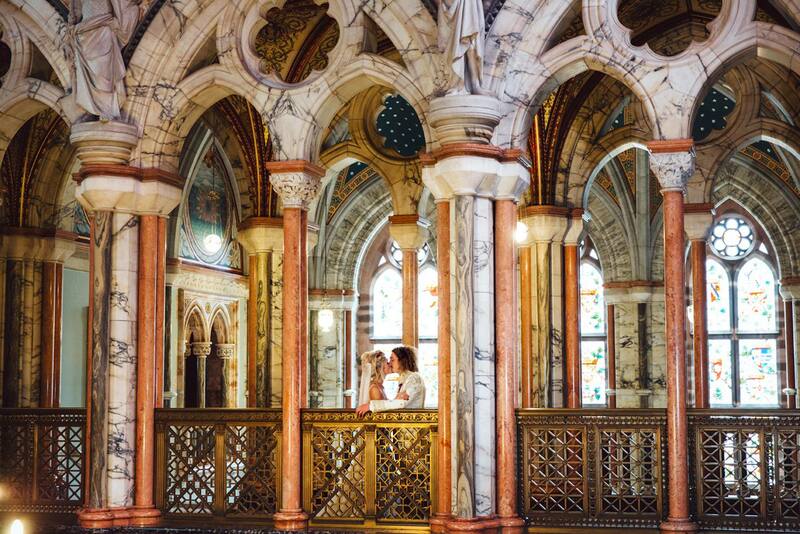 Mount Stuart itself is an amazing Victorian Neo Gothic mansion on the small island of Bute. 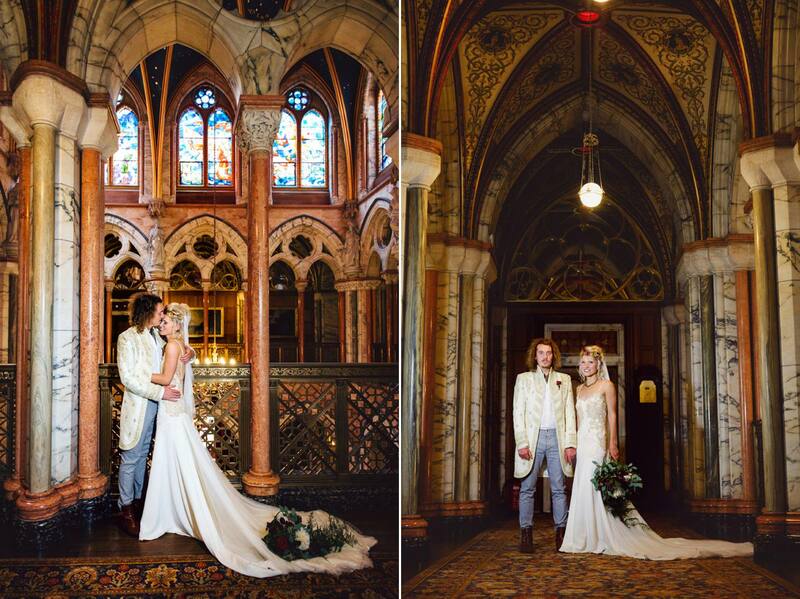 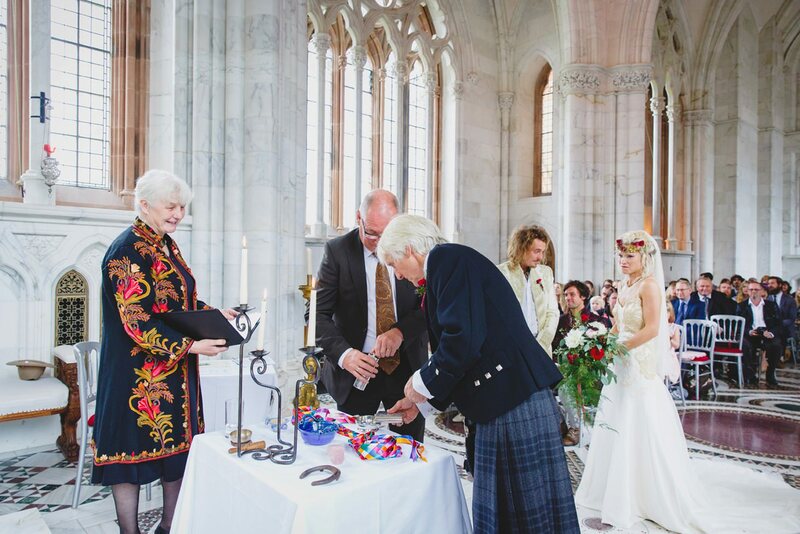 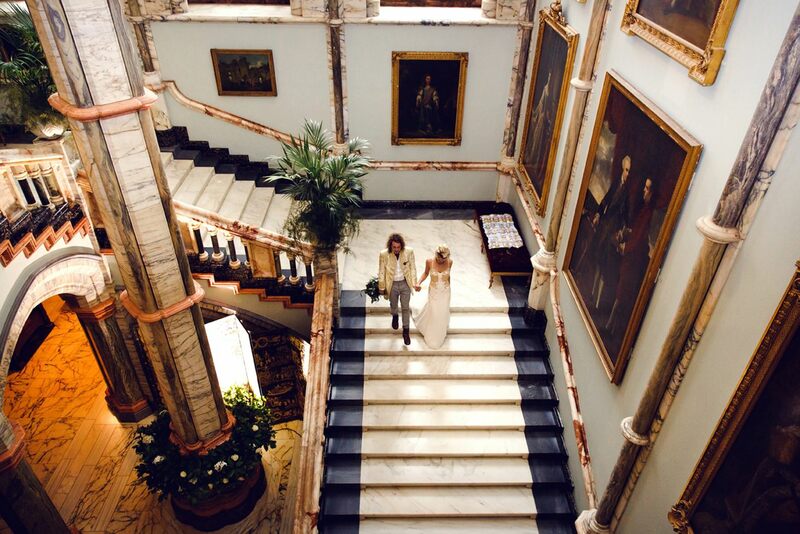 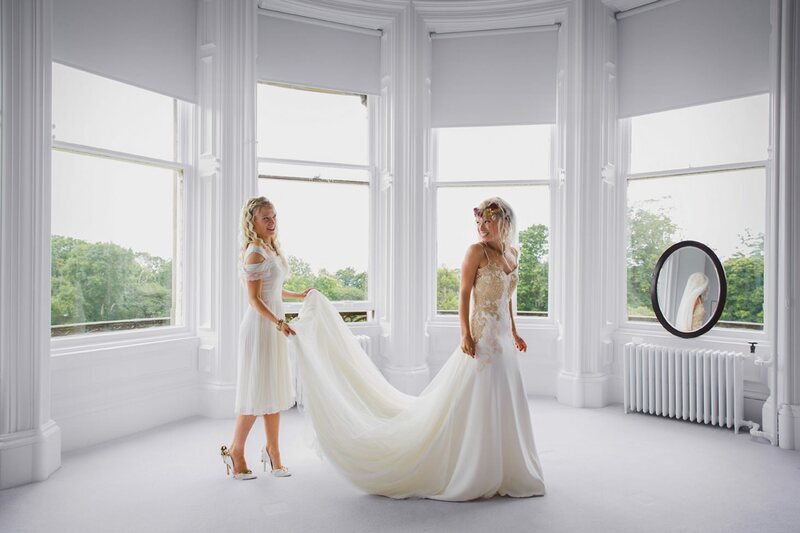 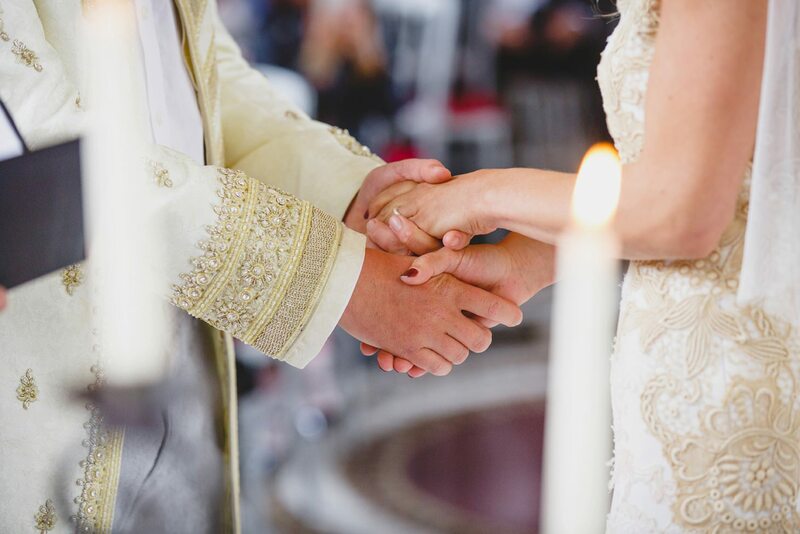 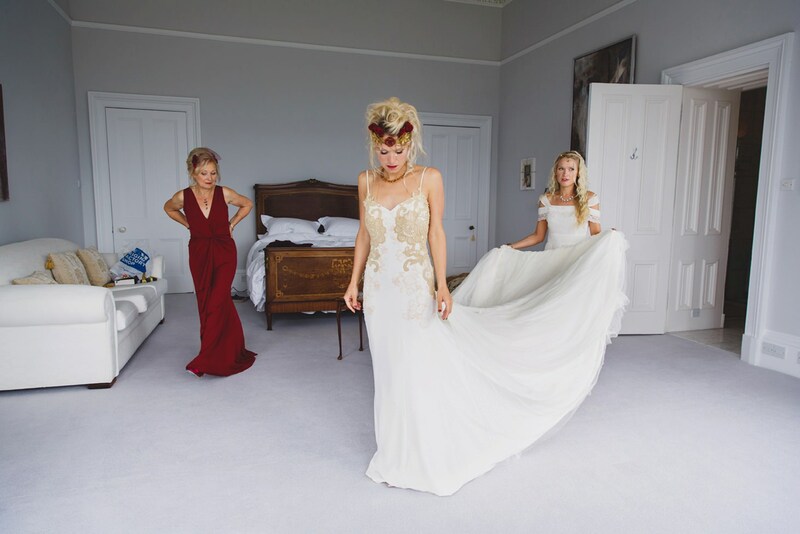 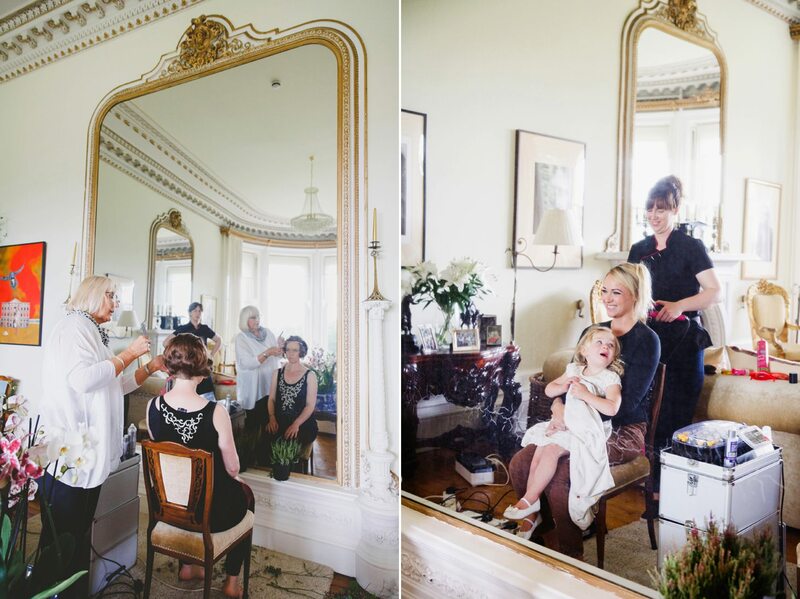 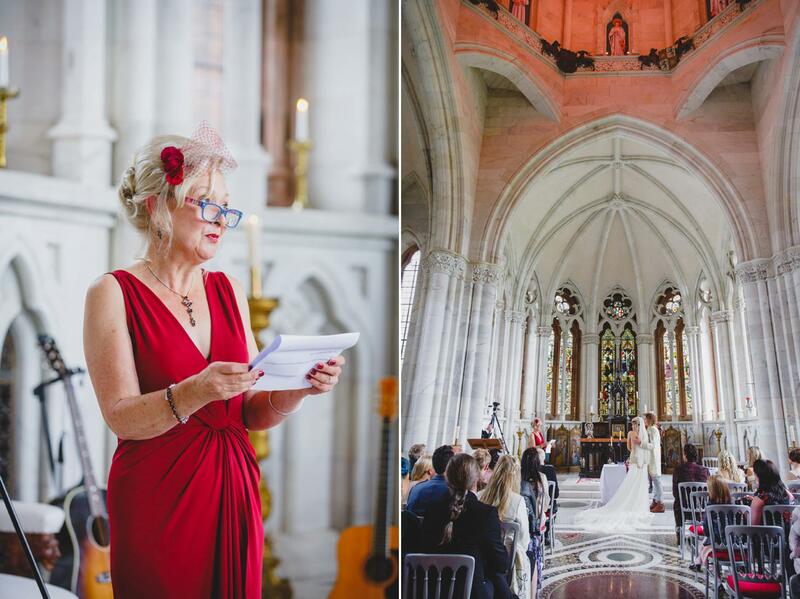 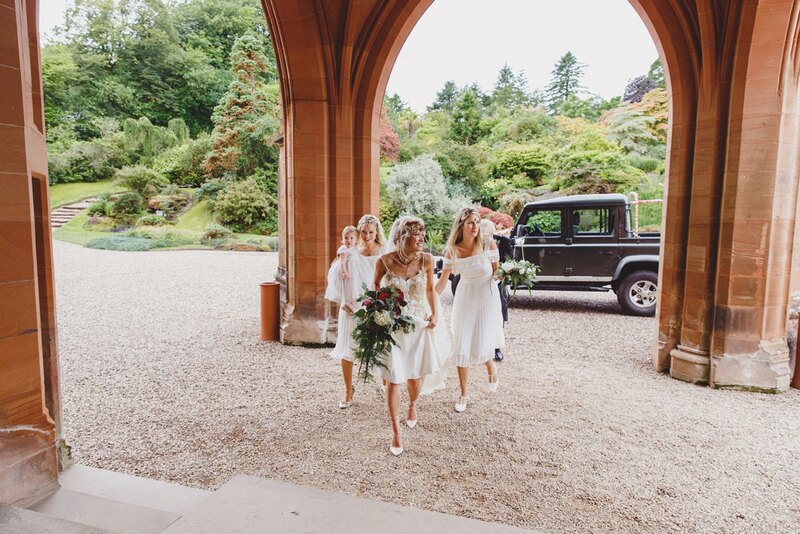 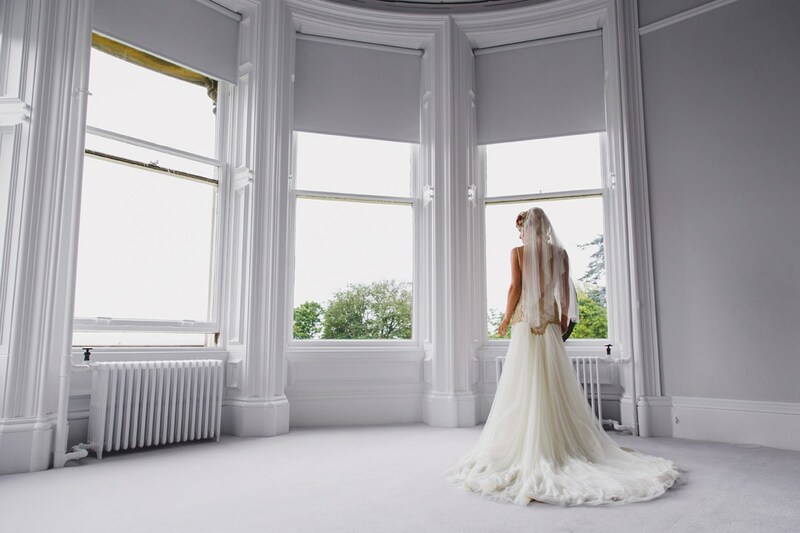 I knew Mount Stuart wedding photography would be such an incredible experience – the whole place is just full of history and inspiration everywhere you look. 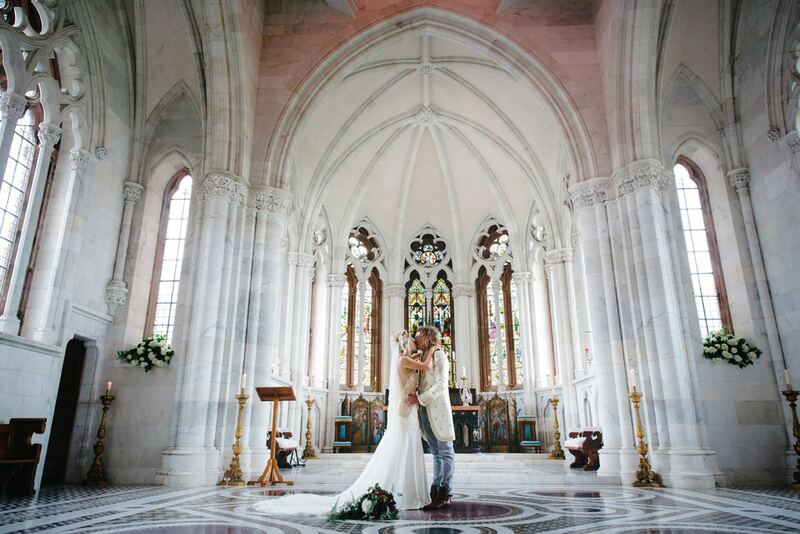 Amy and Oliver are both full time artists, so I can see exactly why they chose such an awesome place to get married. 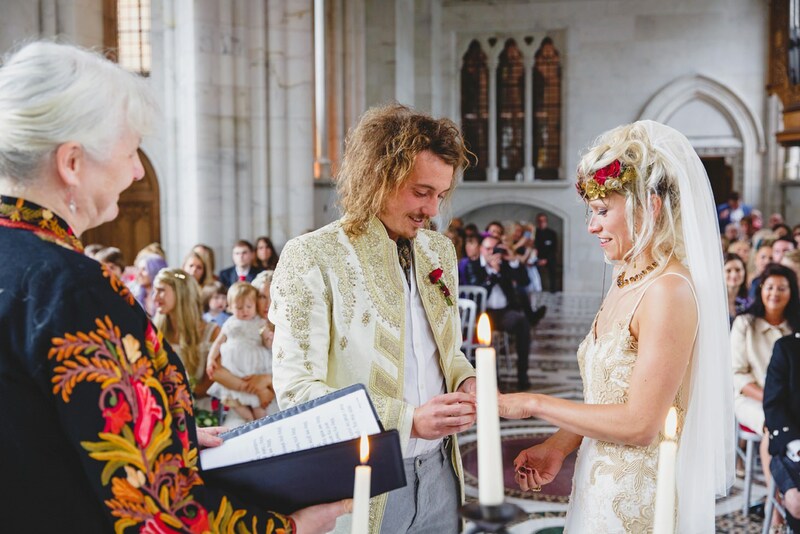 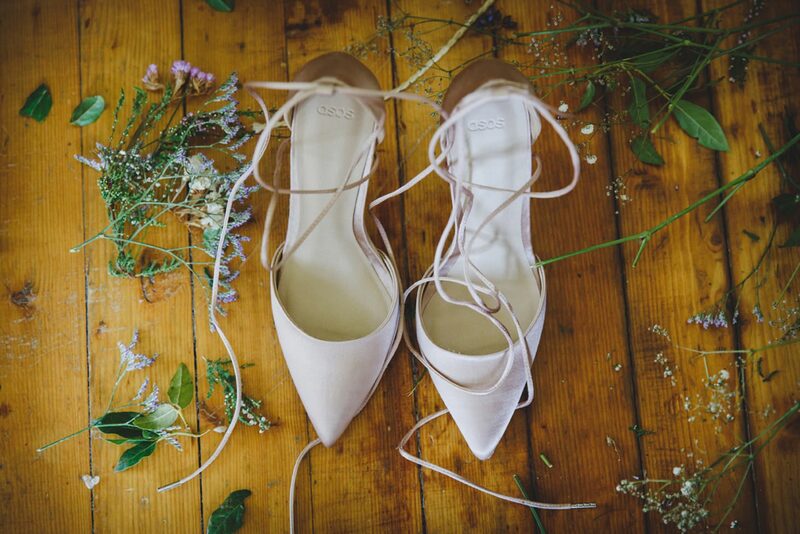 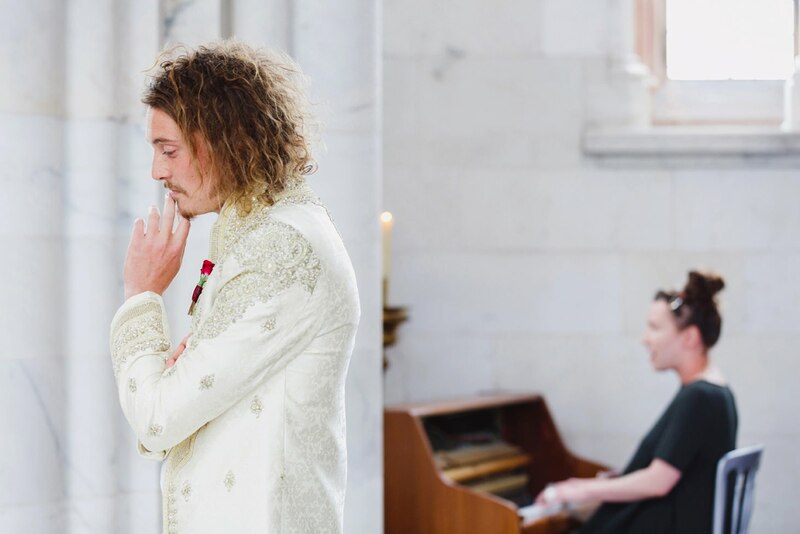 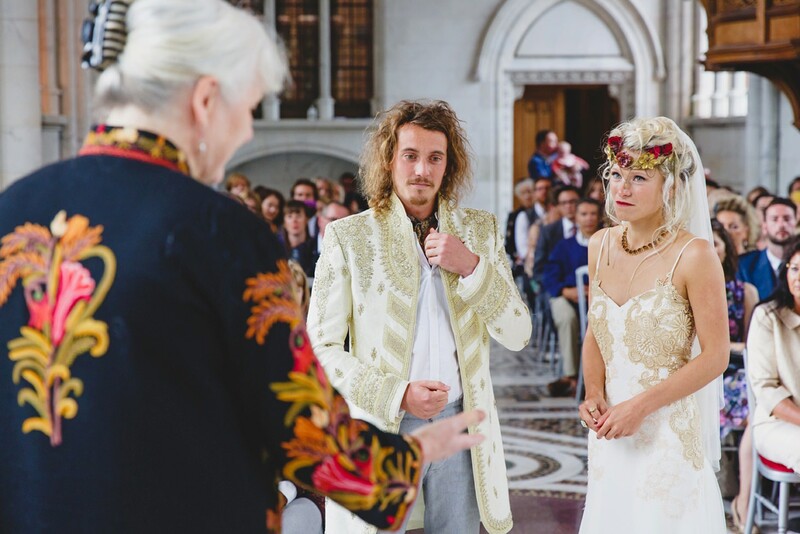 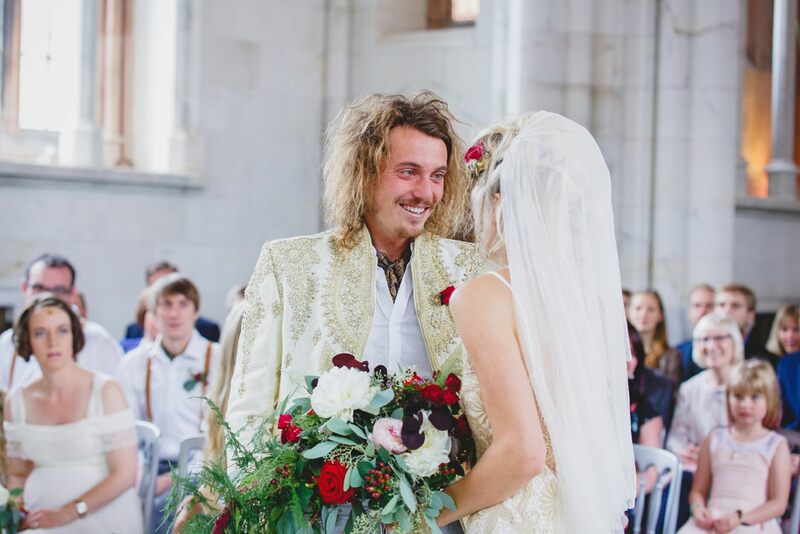 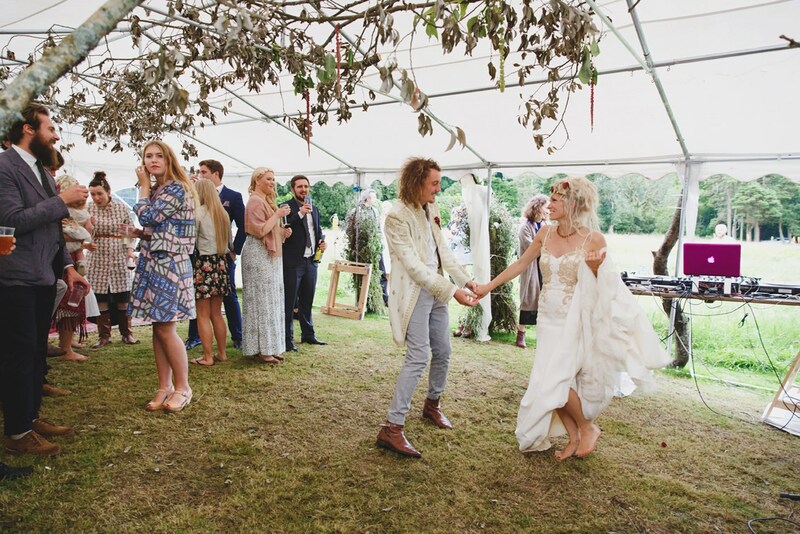 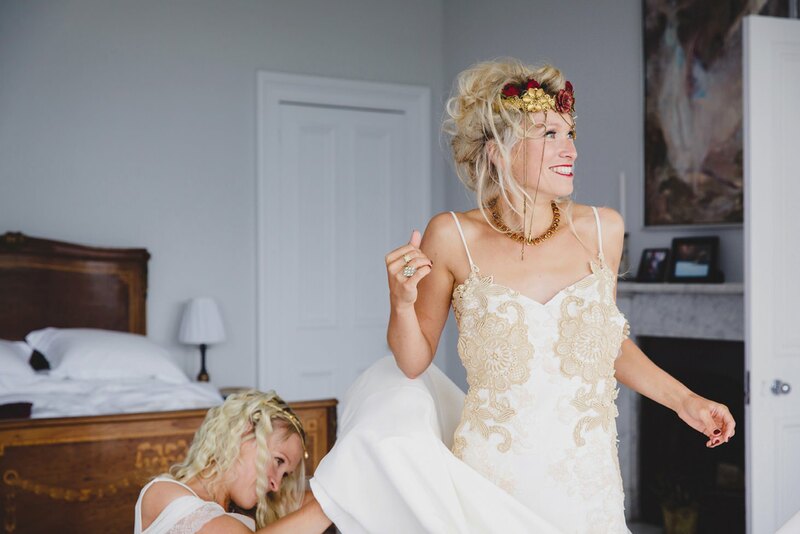 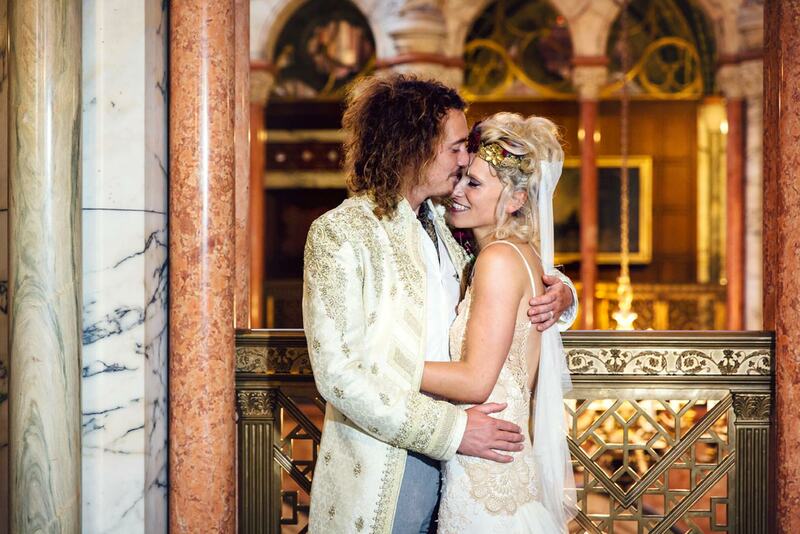 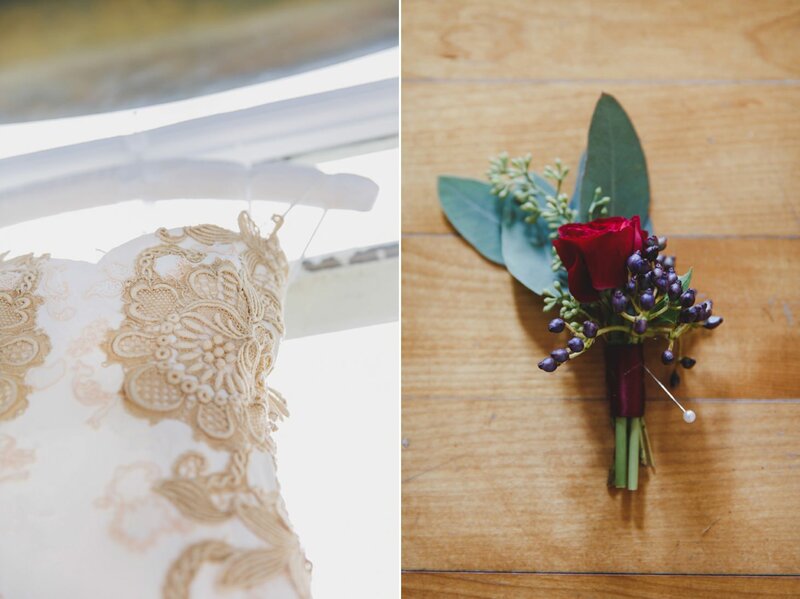 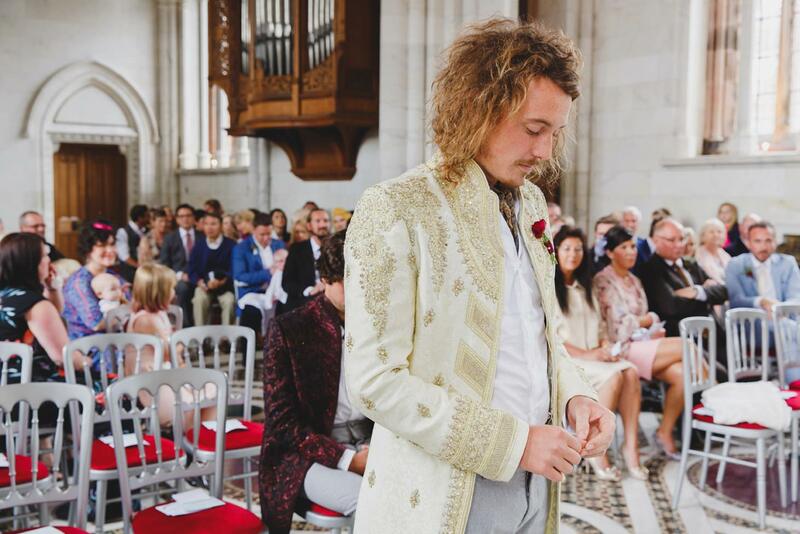 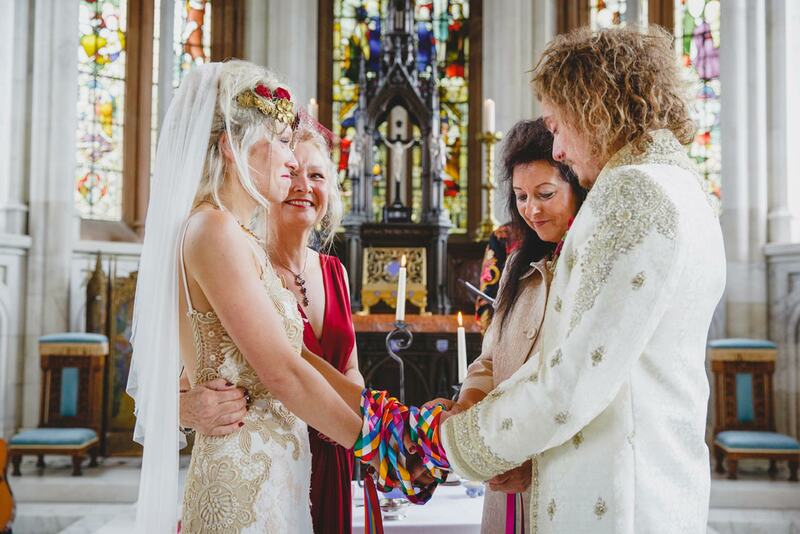 Their wedding was full of art, music, love and laughter from start to finish. 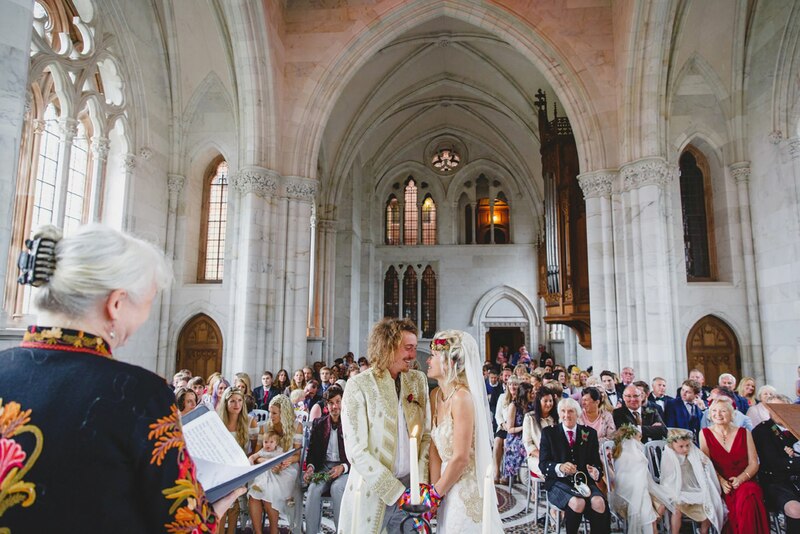 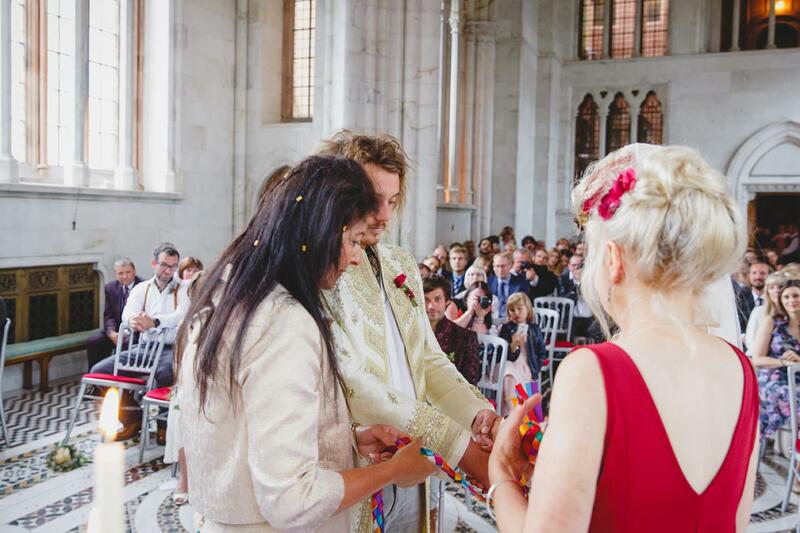 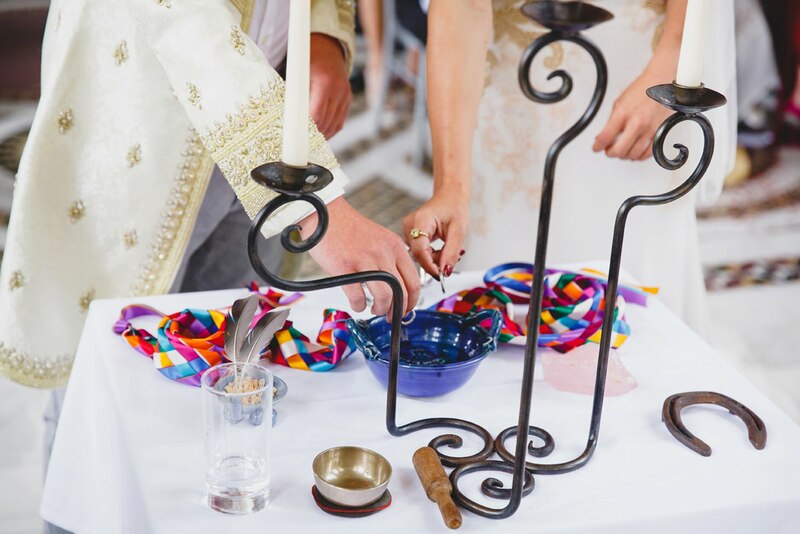 They had a humanist ceremony in the marble chapel, followed by music and drinks. 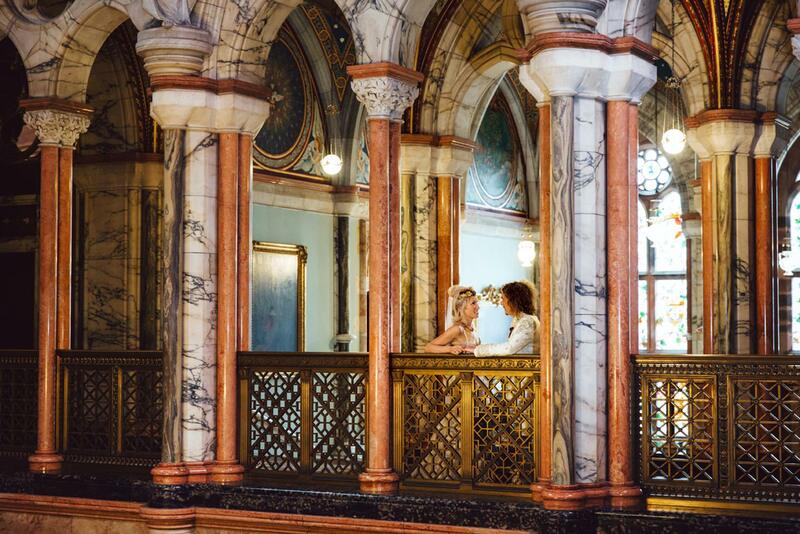 I stole them away for a few moments so we could photograph a couples session in the amazing marble hall with it’s astronomy inspired ceilings which map out stars and seasons, before we all headed back to Amy’s parents garden for a beautiful rustic reception. 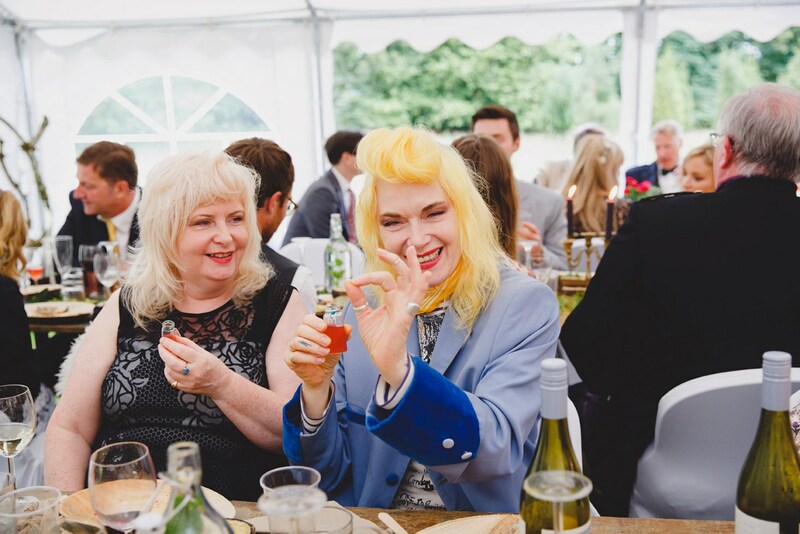 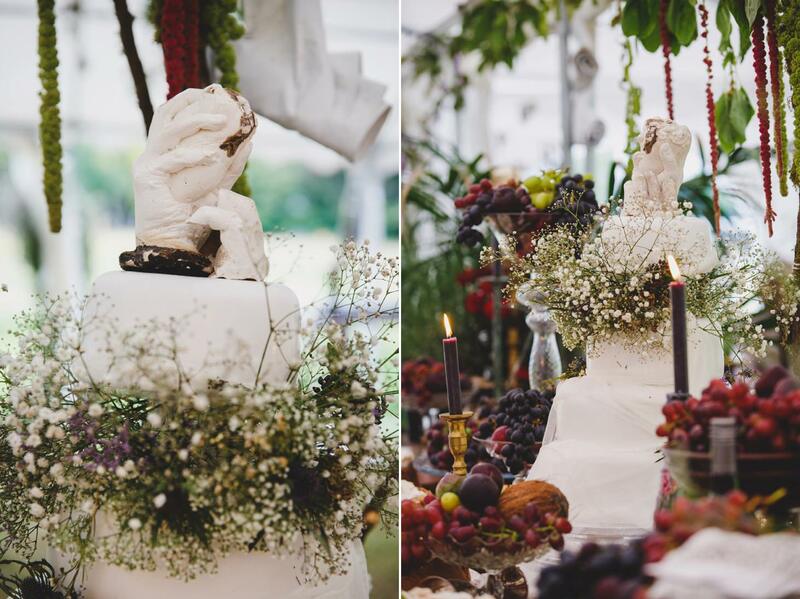 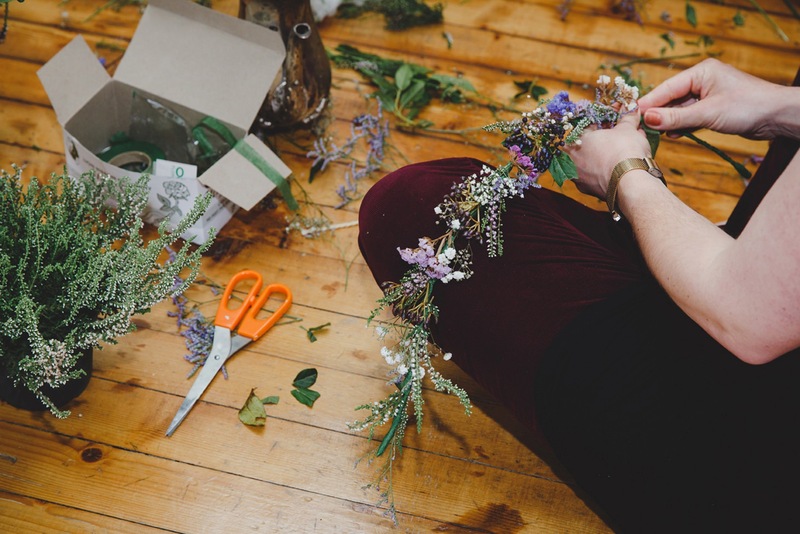 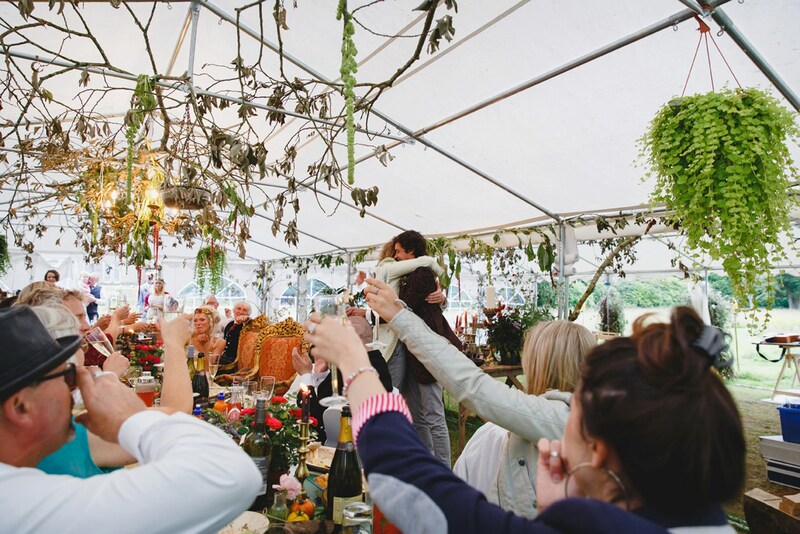 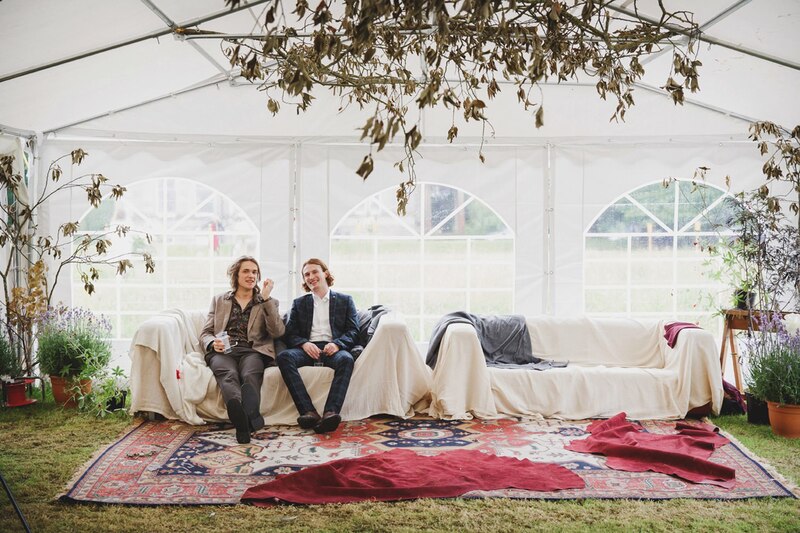 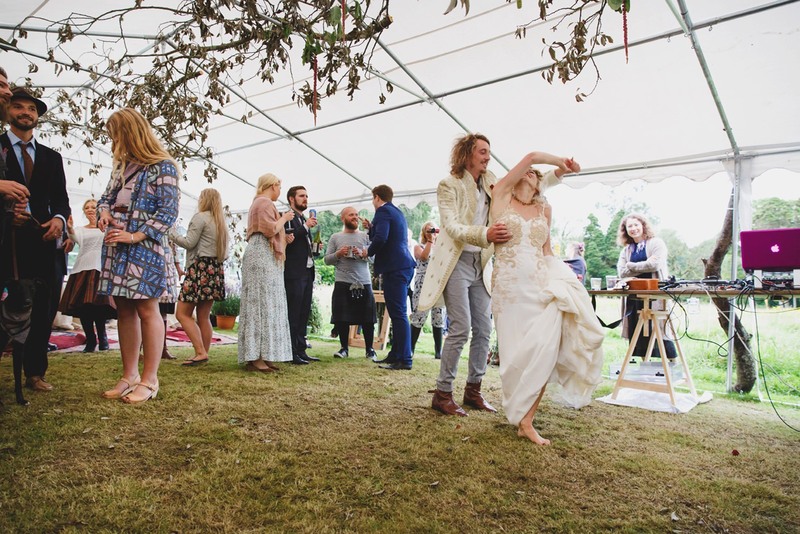 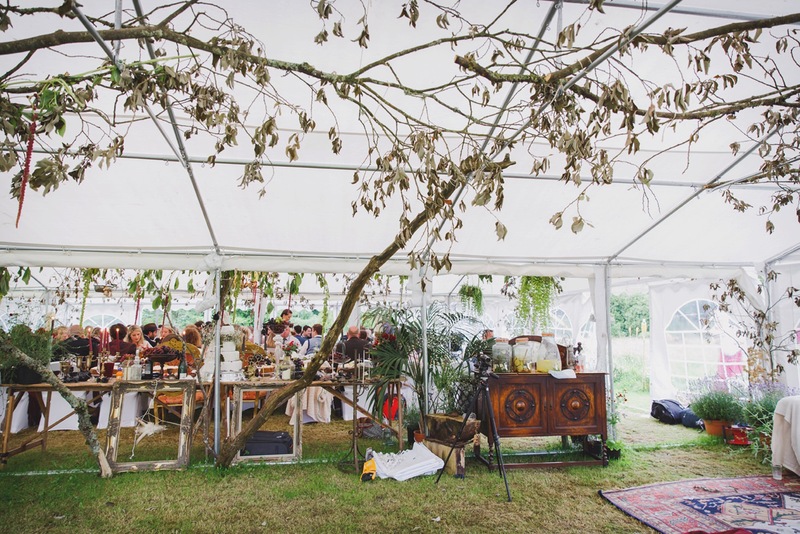 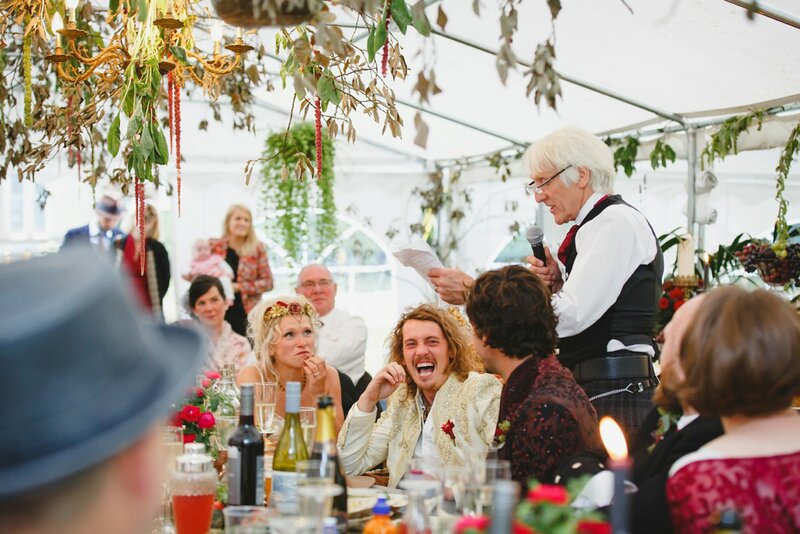 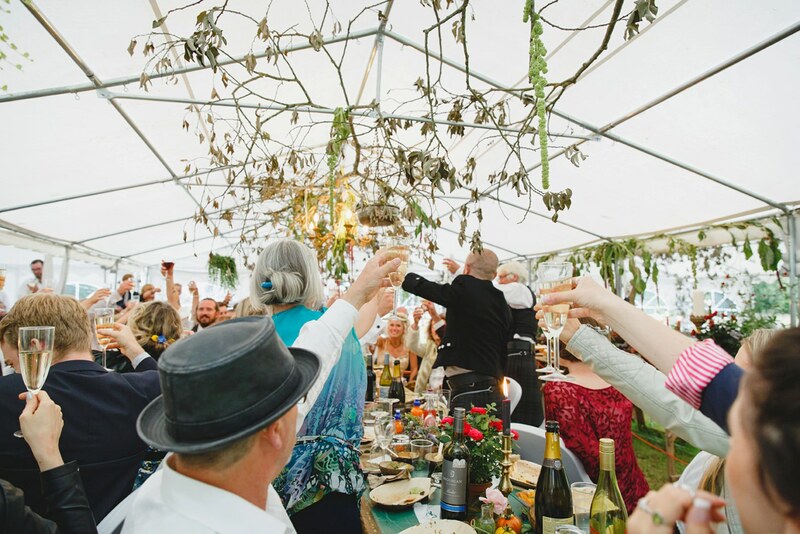 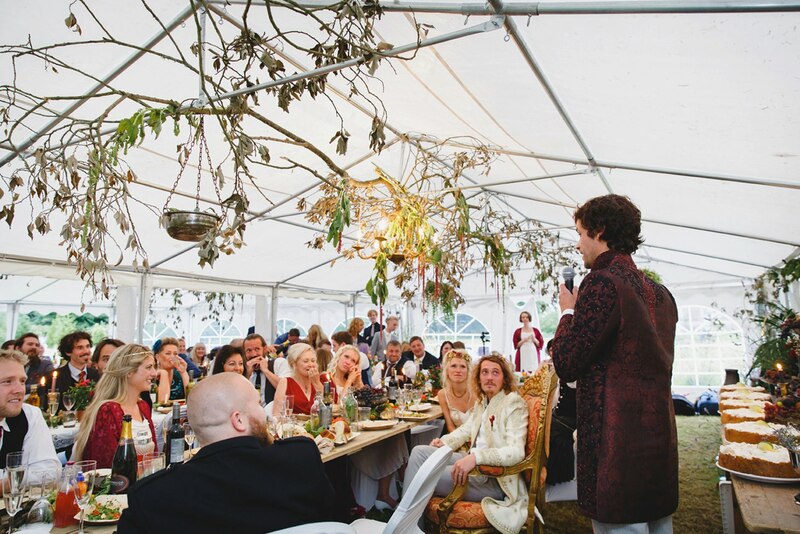 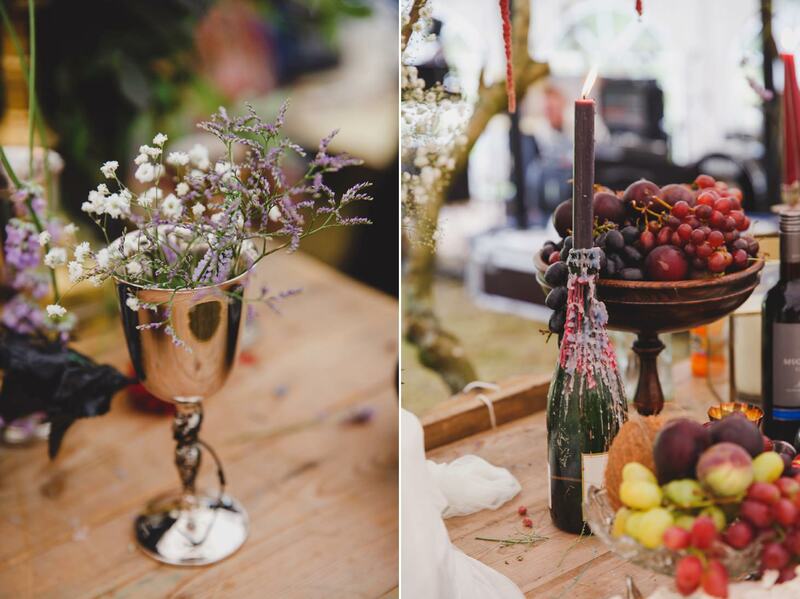 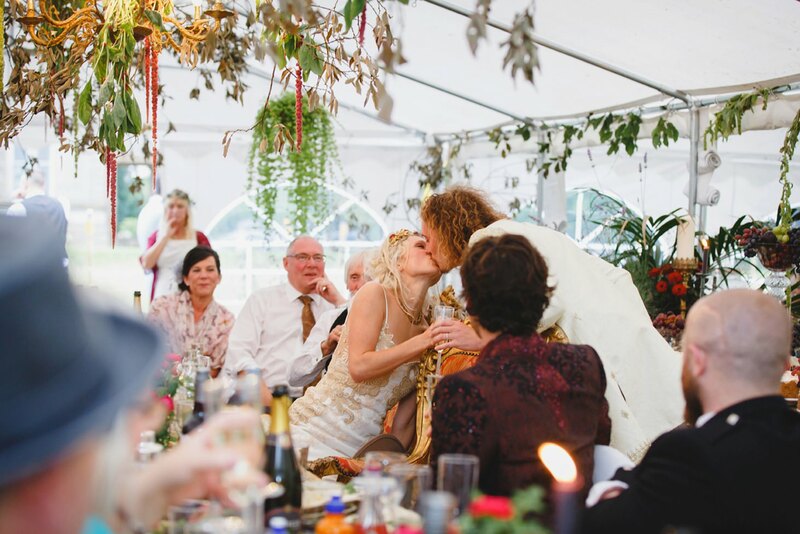 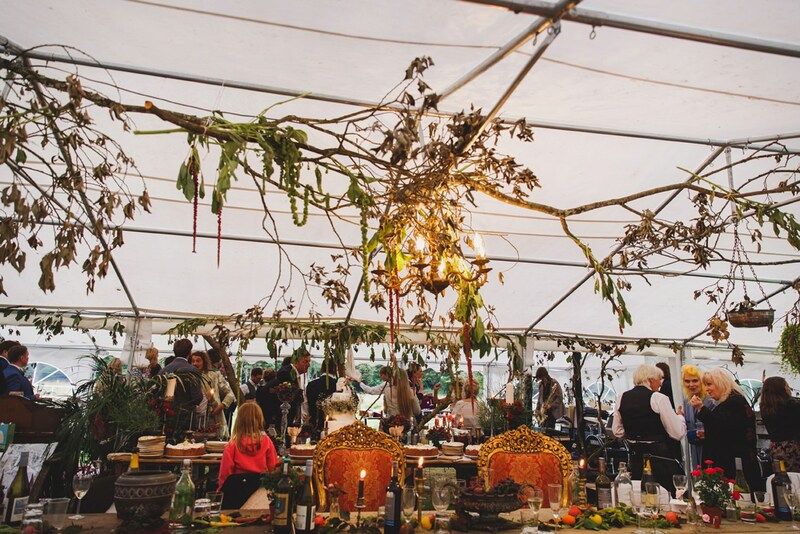 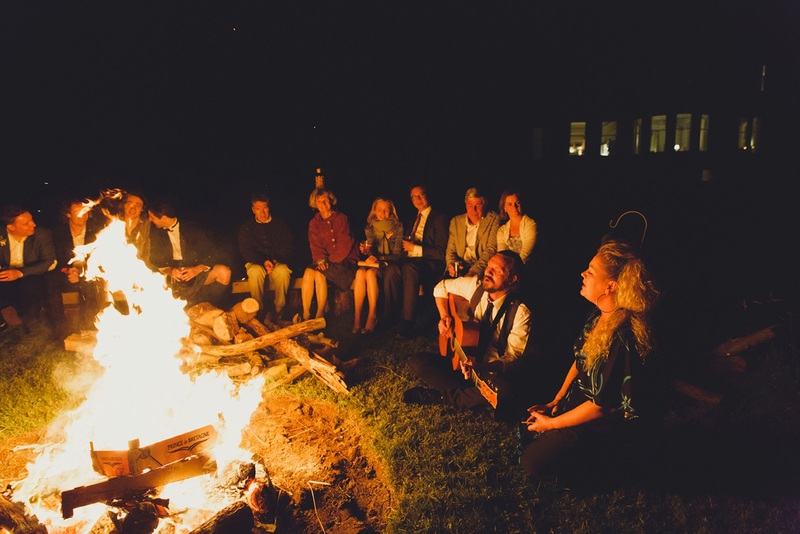 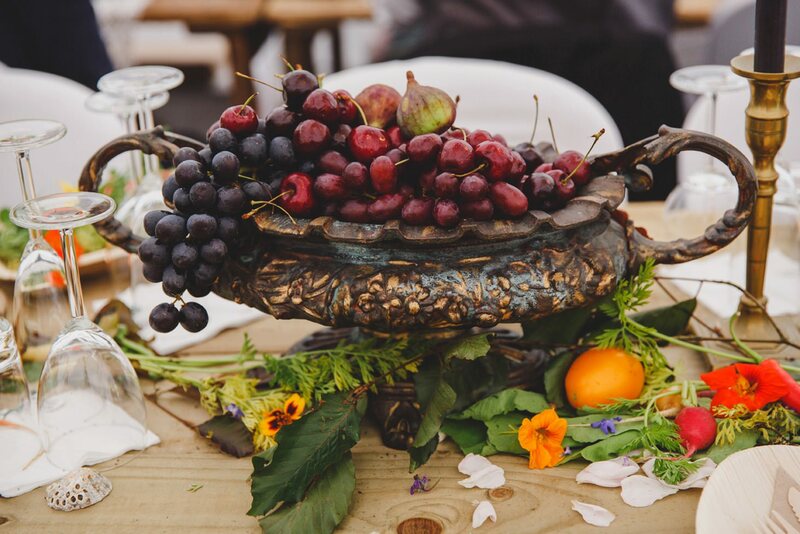 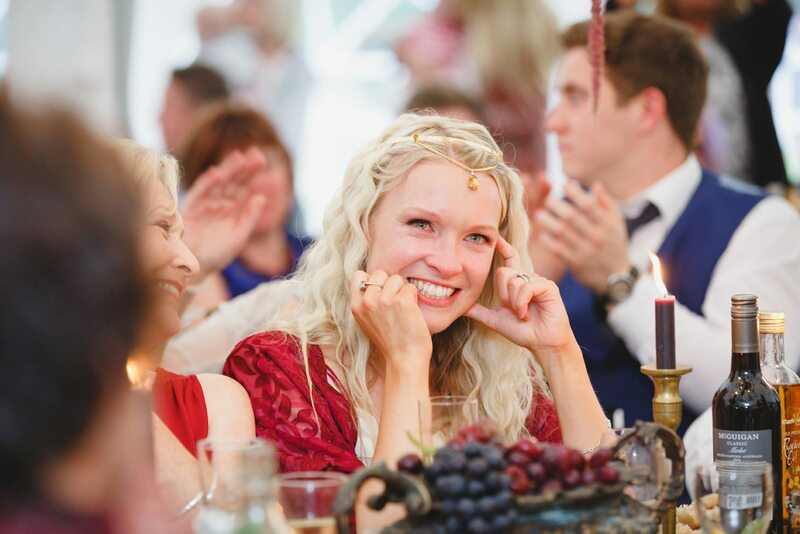 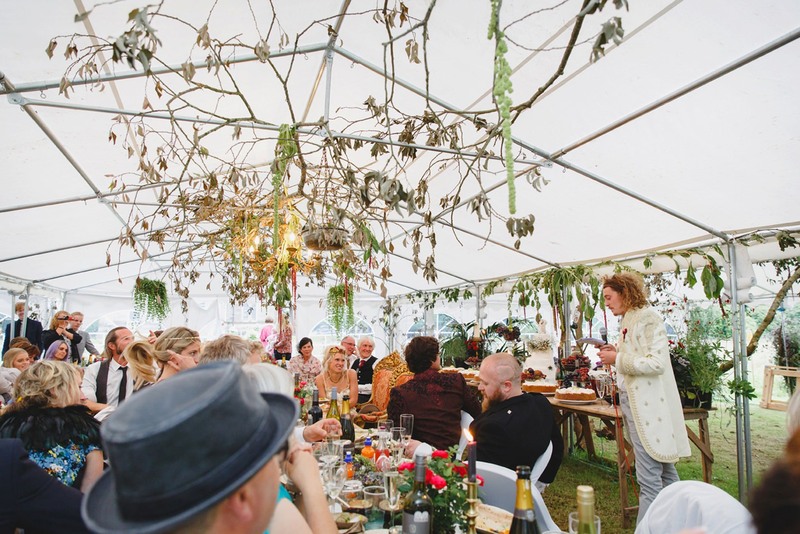 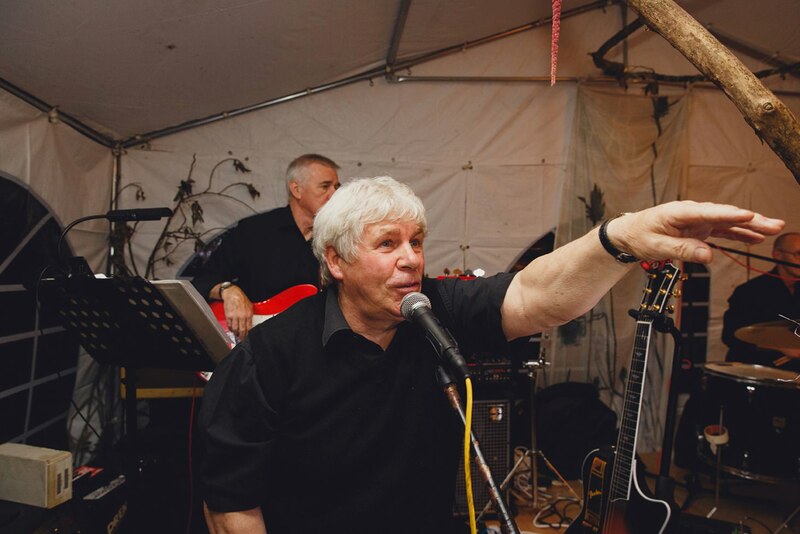 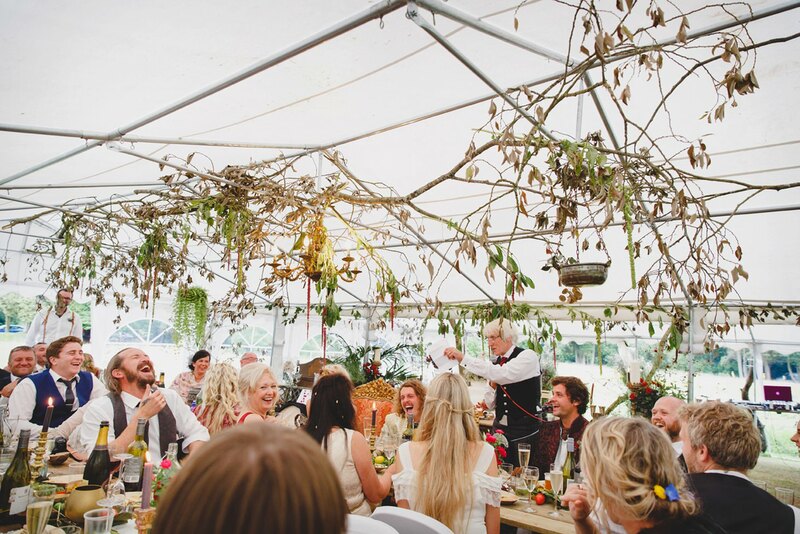 The evening was so much fun to shoot – fabulous local food, beautiful decor, a hand crafted cake by Amy and Oliver themselves, more music and bonfires. 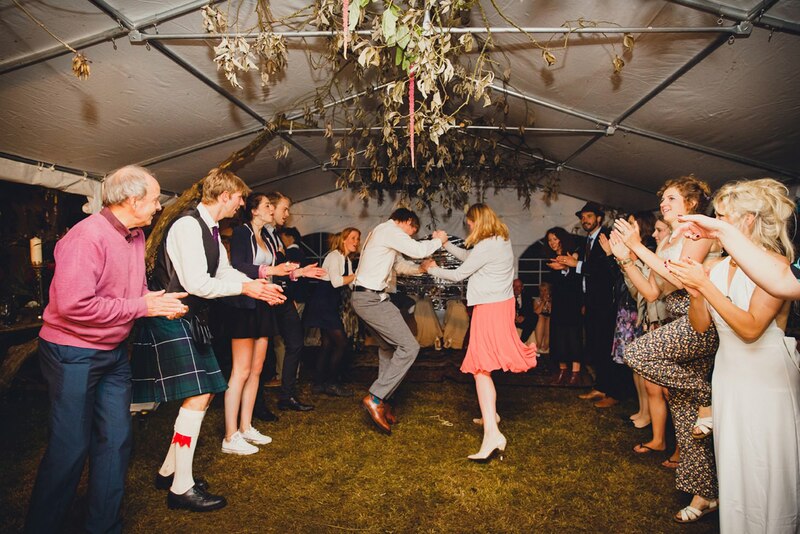 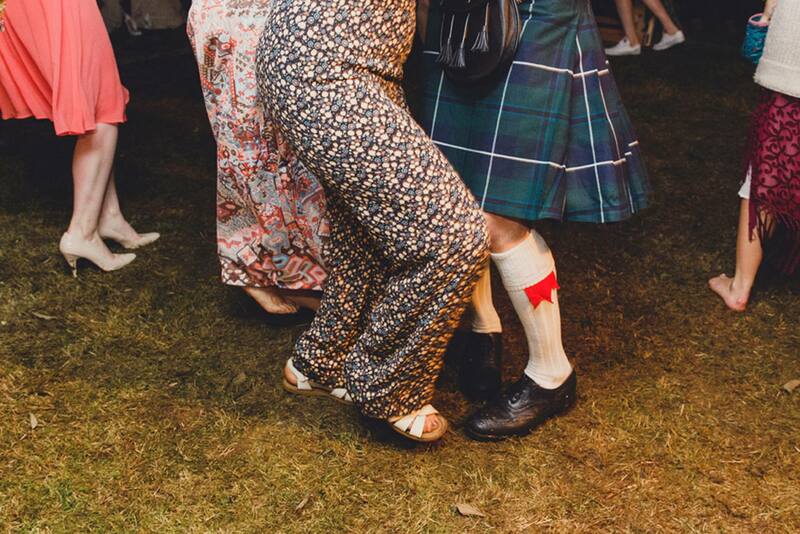 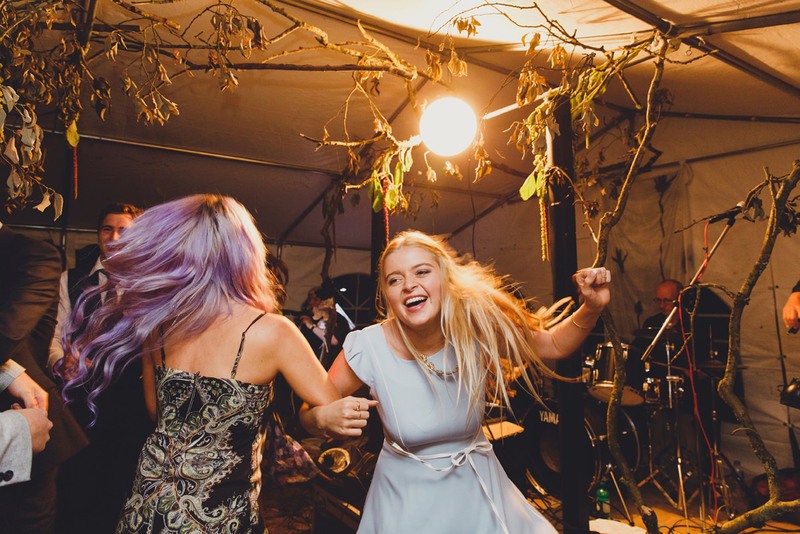 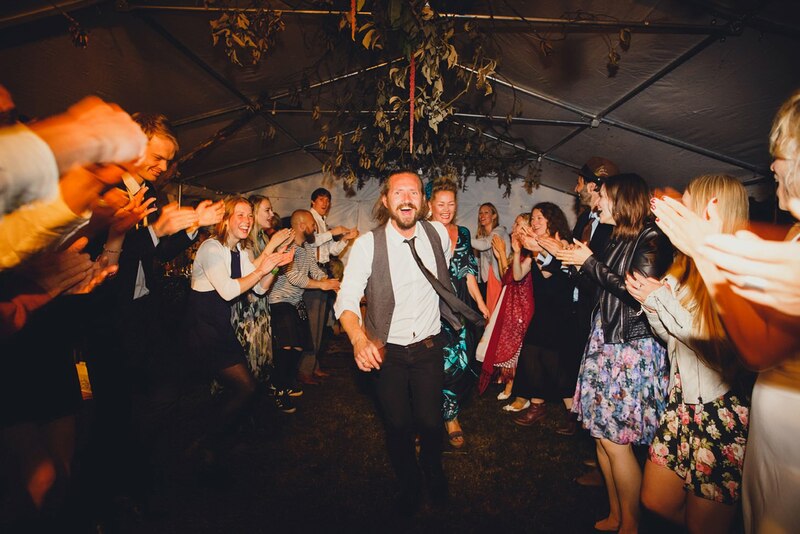 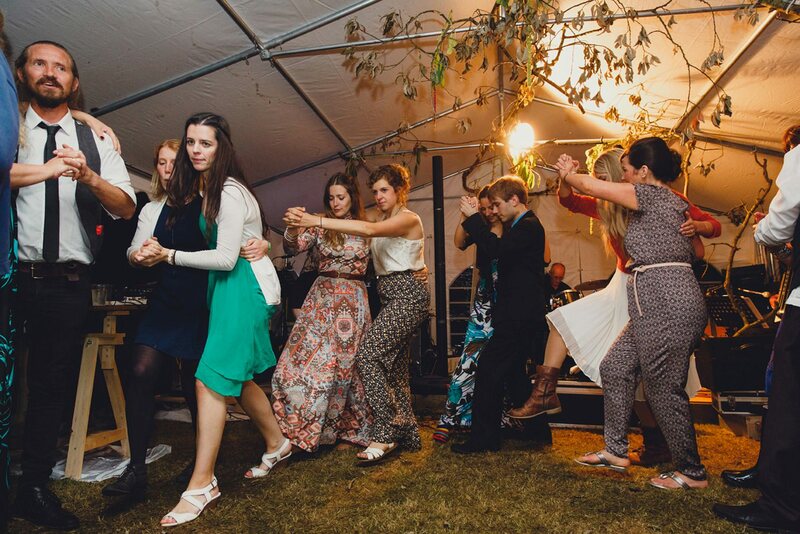 I got my first taste of Scottish ceilidh dancing too – hilariously fun to watch as well as shoot! 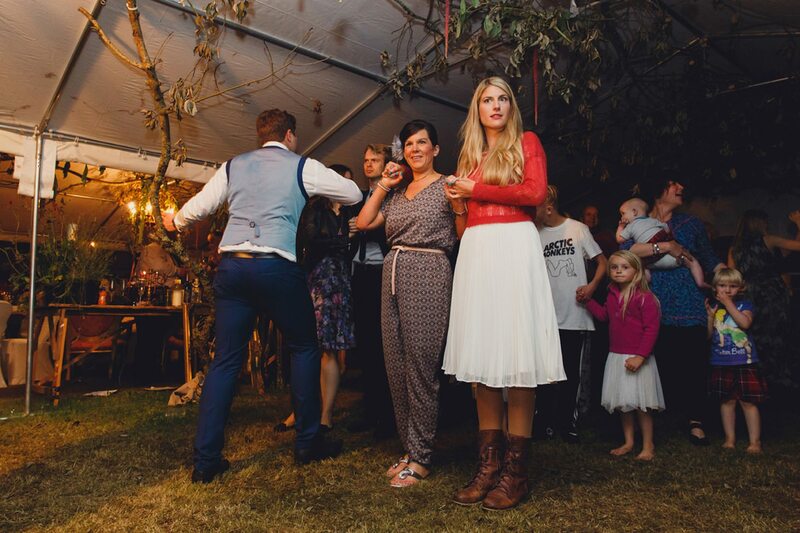 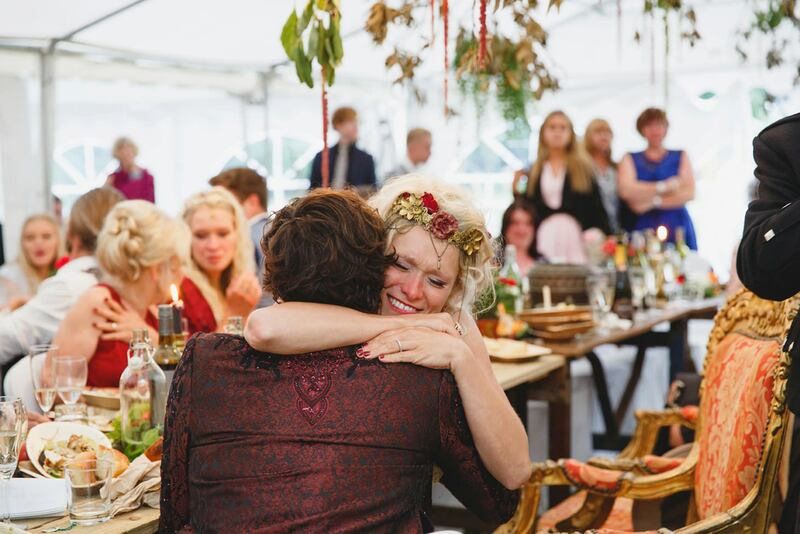 The look of joy on guests faces as they danced and talked and ate all evening through really shone through. 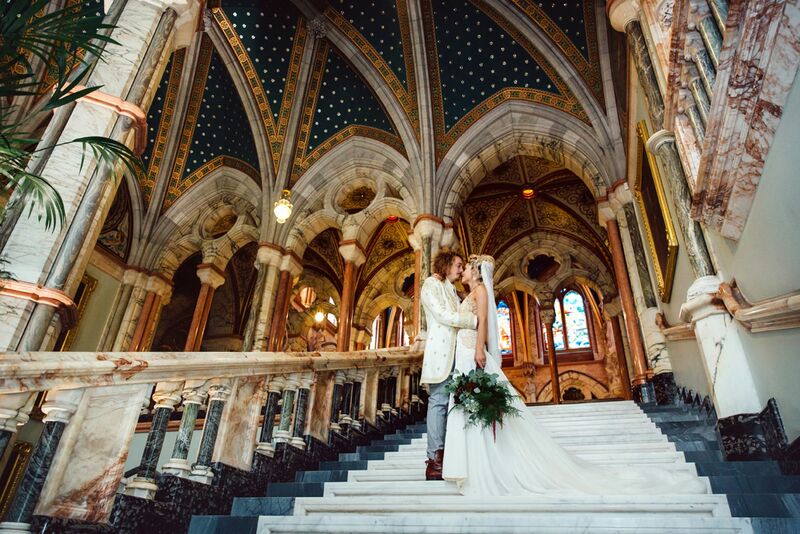 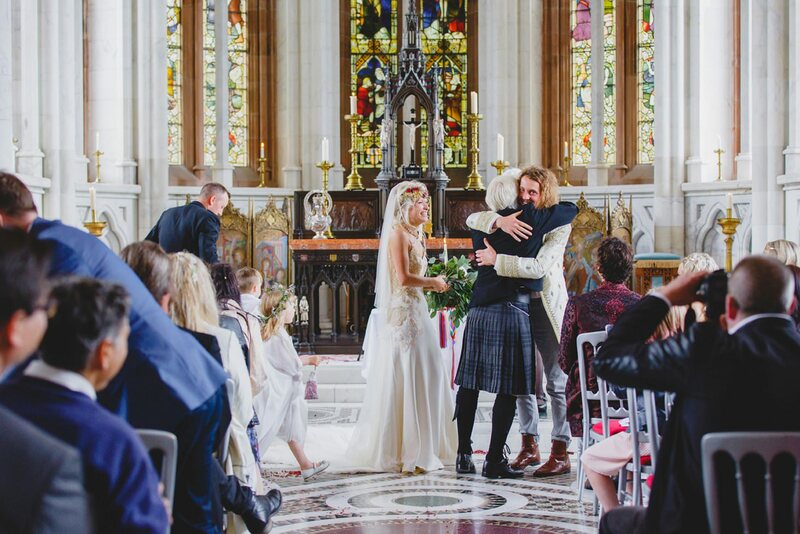 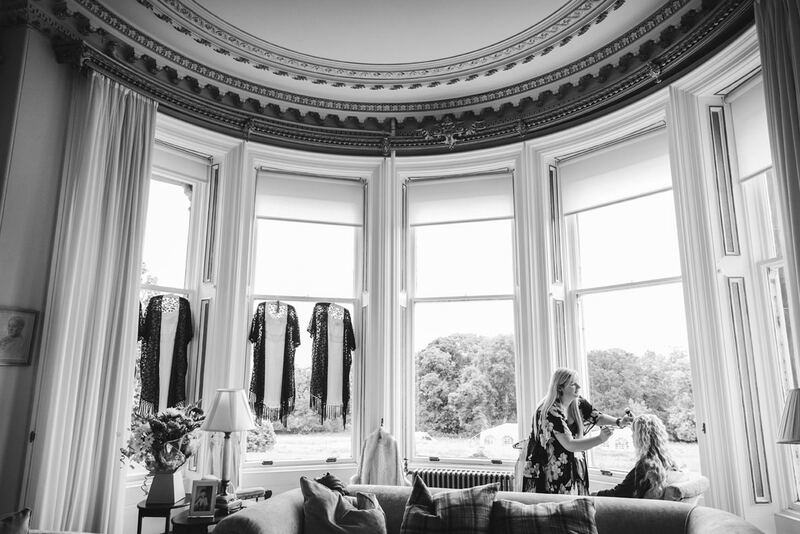 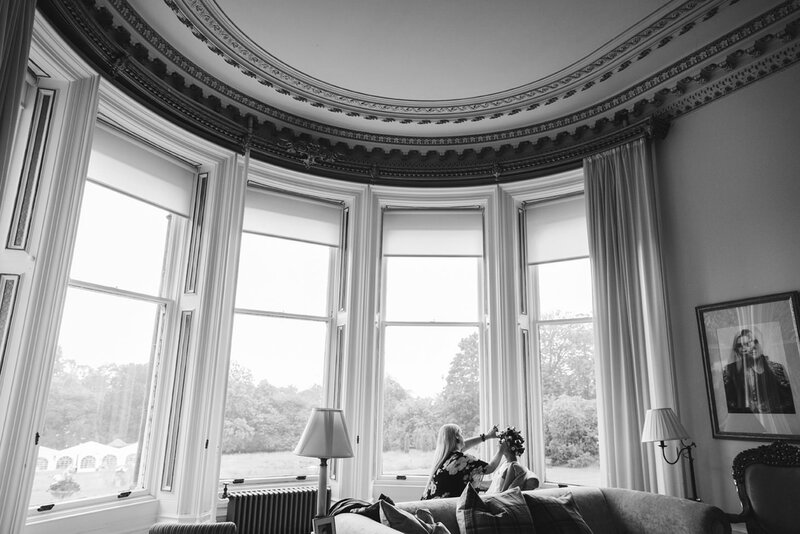 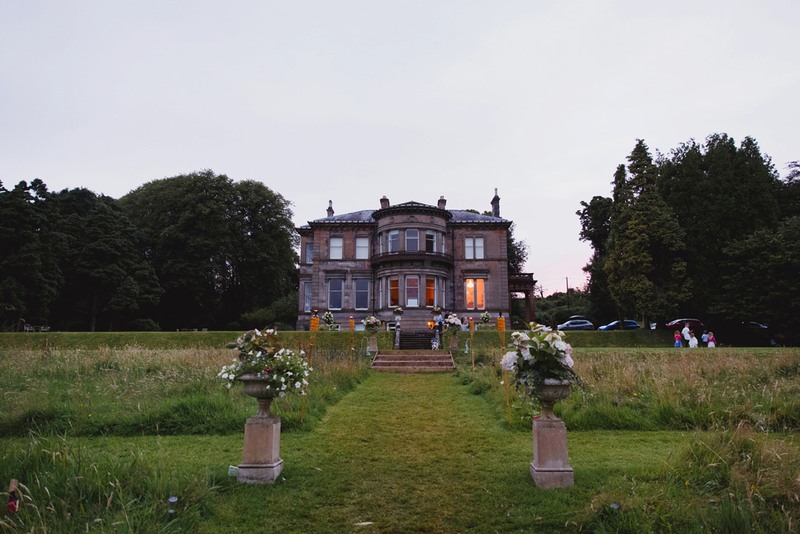 Thanks so much to Amy and Oliver for sharing their incredible wedding and choosing me for their Mount Stuart wedding photography – I’m sure you’ll agree it’s an amazing place. 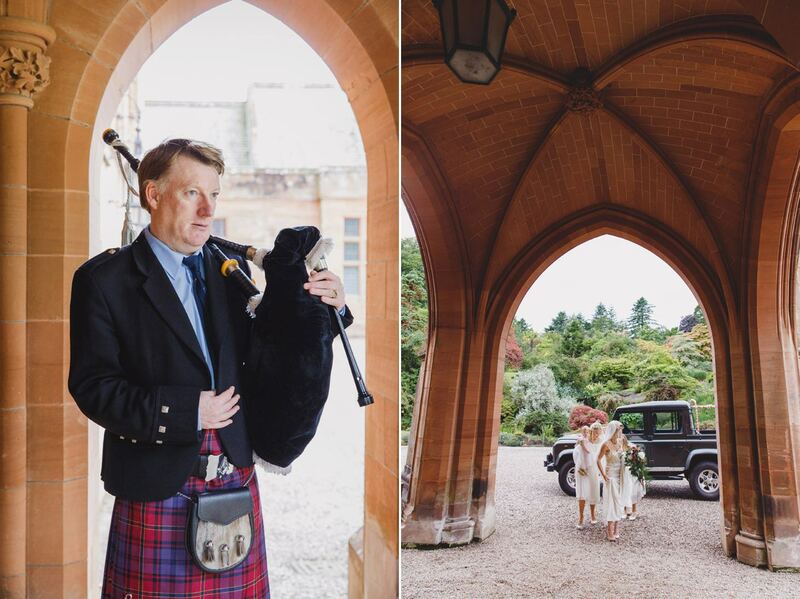 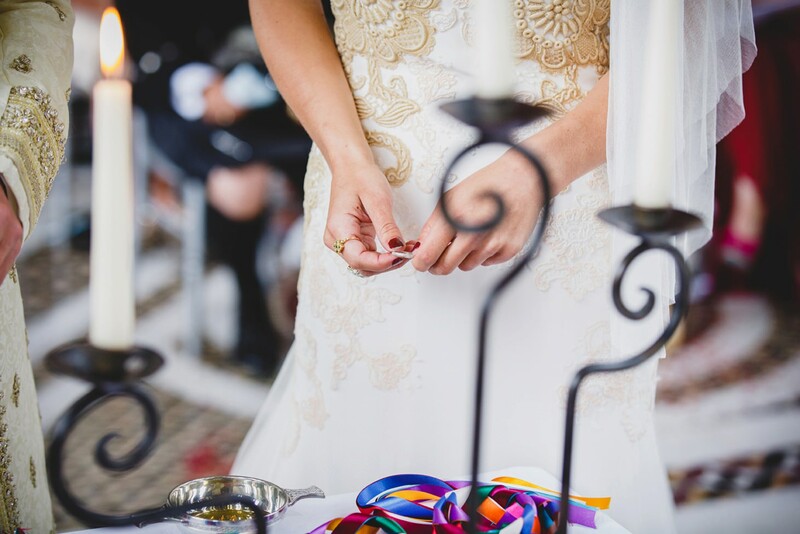 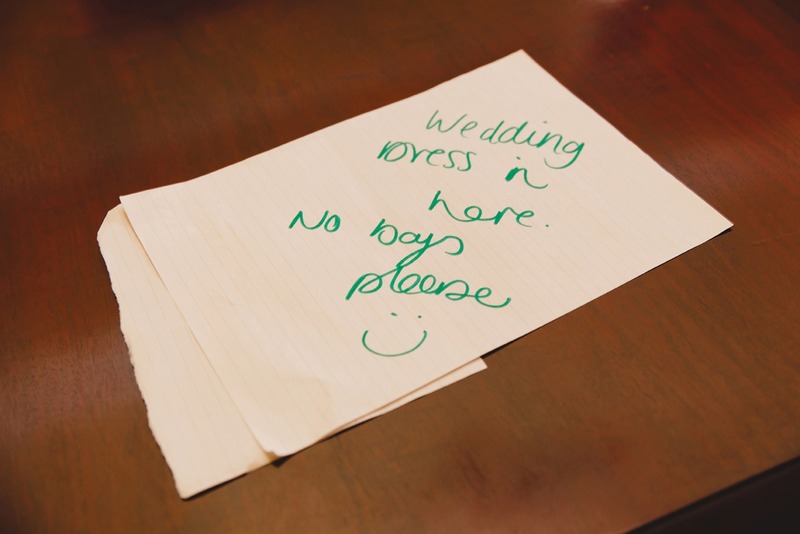 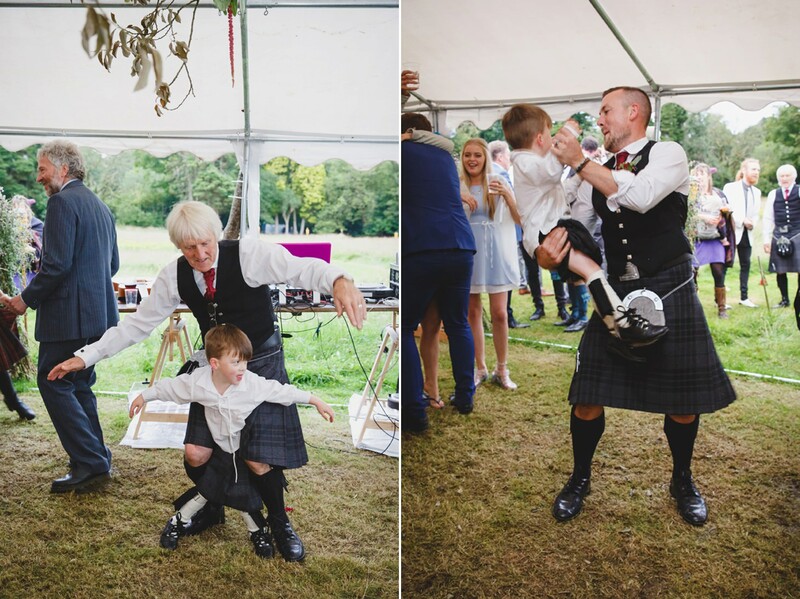 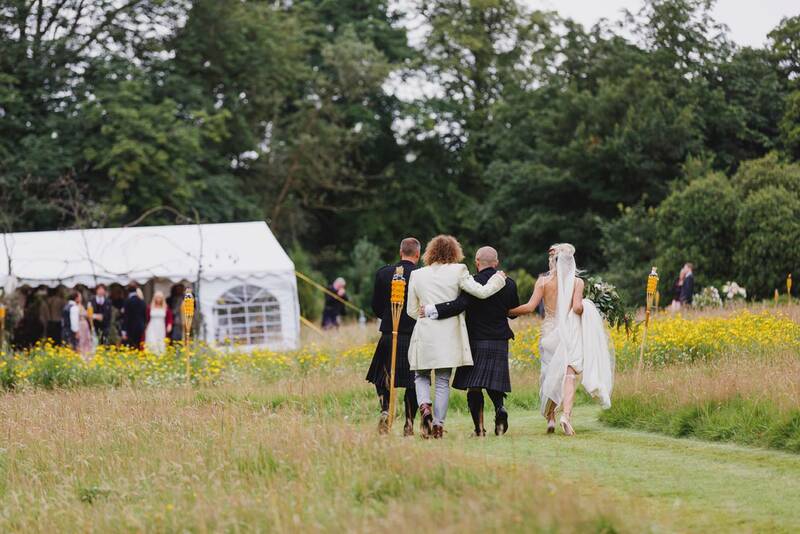 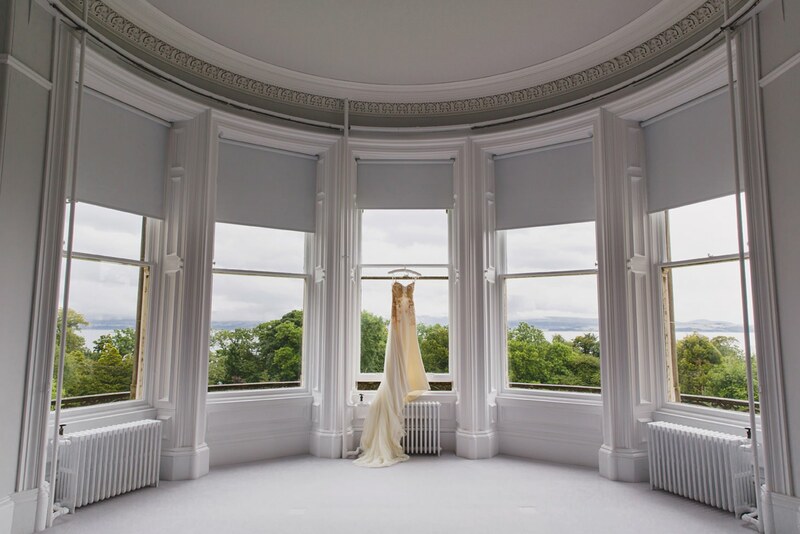 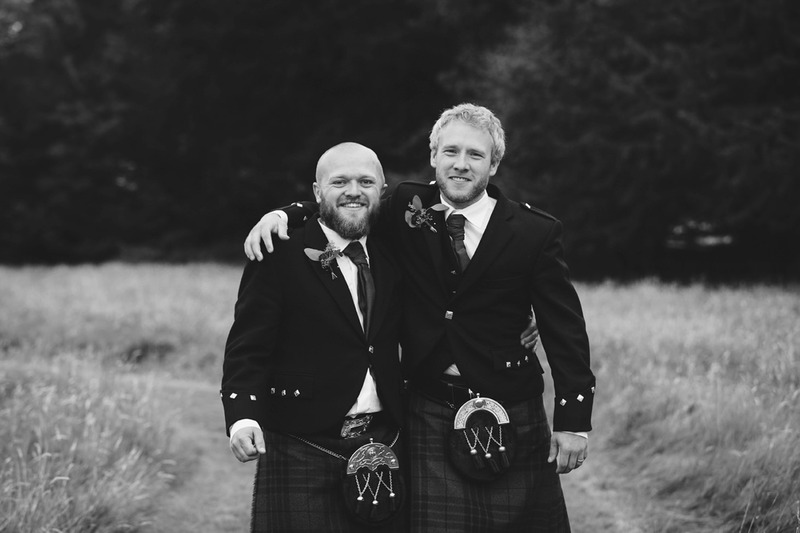 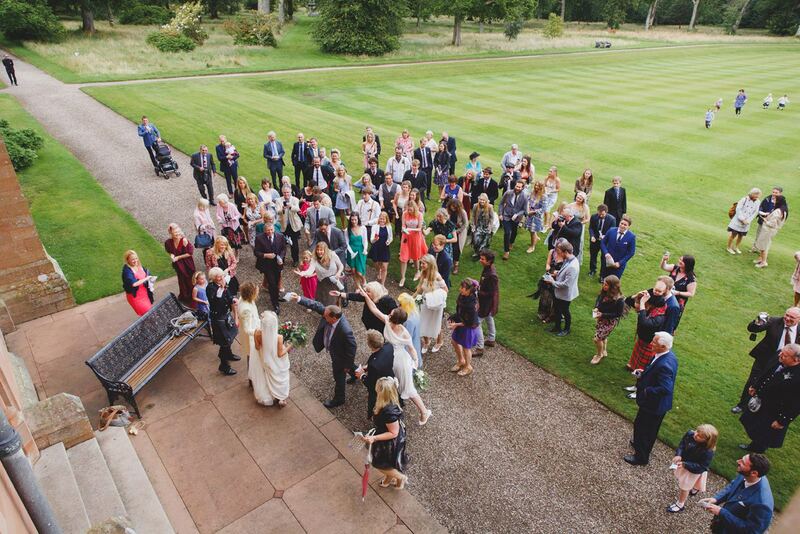 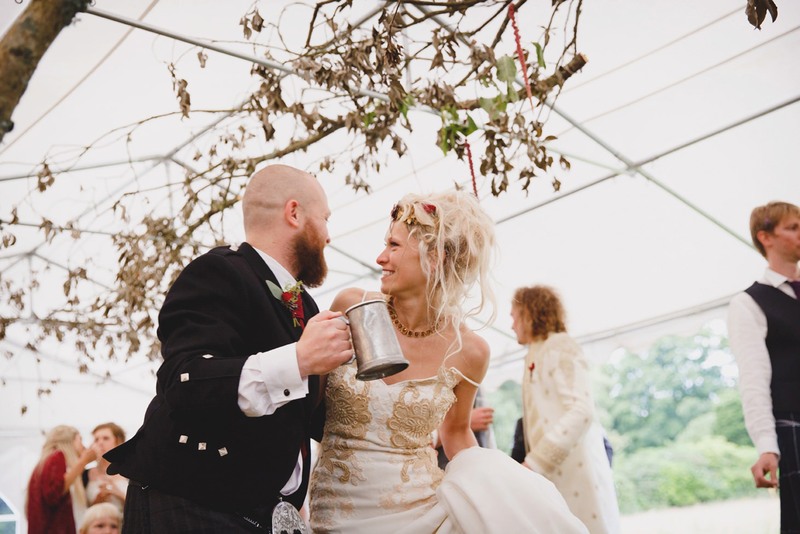 I would love to head back Scotland (birthplace of my Grandma) for more weddings!